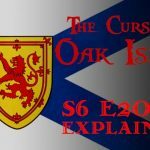 The following is a plot summary and analysis of Season 6, Episode 2 of the History Channel’s TV series The Curse of Oak Island. After the narrator briefly touches on theories which the brooch evokes, including the pirate theory, the story of Captain James Anderson, and the hypothesis revolving around Marie Antoinette’s jewels, the four treasure hunters all agree that the ought to have an expert determine the artifact’s age. While Charles Barkhouse watches as the men of Eagle Canada wrap up their seismic survey in the Money Pit area, Laird Niven meets Rick and Marty Lagina and Gary Drayton at the Oak Island Visitors’ Centre. Drayton informs the archaeologist that Lots 21 and 22 have been cleared of trees and brush, allowing him to metal detect there more efficiently and effectively. He then shows Niven the brooch that he dug up on Lot 21. Niven examines the artifact for some time before declaring that he has never seen anything like it before. He also observes that the brooch’s ornamental housing has been gilded, or coated with gold leaf, and encourages the team to have it analyzed by an expert in antique jewelry. The next day, Rick Lagina and Gary Drayton meet with representatives of Brycon Construction and Irving Equipment Ltd., the contractors tasked with building an enormous cofferdam around Smith’s Cove. While the men shake hands, the narrator informs us that this structure will be 25 feet deep and composed of metal. Rick explains in an interview that in order to begin work at Smith’s Cove, they will first have to build a substantial road from Borehole 10-X to the beach. This road will need to support the 300 ton crane with which the cofferdam will be constructed. Later, the Oak Island team meets at the Mug & Anchor Pub in the nearby town of Mahone Bay. Rick Lagina informs the crew that they have arranged for a gemologist in Calgary, Alberta, to take a look at the two brooches found on Oak Island. We are then transported to Calgary, Alberta, where the Lagina brothers and Dave Blankenship are driving. The treasure hunters head to the Alberta College of Art and Design, where they meet with gemologist and master goldsmith Charles Lewton-Brain and his assistant Axel Bernal Bladh. Lewton-Brain, who has agreed to take a look at the two brooches, removes the rhodolite garnet from its housing and examines it using a digital video microscope. He remarks that “the facets… don’t meet perfectly”, which he claims is an indication that they were hand-cut (as opposed to machine-cut). He later declares that the garnet has a refractive index of over 1.7; for reference, he states that a ruby’s refractive index is 1.74. After examining the gem under another microscope, he declares that the stone indeed appears to be a garnet. Marty asks the gemologists what accounts for the bauble’s red colour. Axel Bladh then informs him that “the formulas for making red glass have been lost and found and lost and found again several times through history… Glass people were extremely secretive. Each family that was working glass would have their own little book of recipes, sometimes in code.” This revelation prompts the narrator to remind us of the Rosicrucian theory, which holds that members of a secret 17th Century society are behind the Oak Island mystery. After that, Lewton-Brain examines the settings in which the gems were housed. While examining the Lot 21 brooch, he draws the treasure hunters’ attention towards a metal cord which encircles the bezel. “If you look at this cord, or wire,” he explains, “you can see that there’s a spiral nature to it… This is not your ordinary old brooch found in the ground. That is a super ancient way of making wire.” He later explains that the method by which this wire was formed is called “block twisting”. When Marty asks the gemologist how old he believes the artifact to be, Lewton-Brain explains that block twisting fell out of fashion after 1340 A.D., when it was eclipsed by wire drawing with draw plates. “Potentially older than 1340?” asks an incredulous Marty Lagina. “Yeah,” replies Lewton-Brain, nodding his head. In response to this assessment, Marty says, “I’ve been completely unwilling to believe that what happened on Oak Island happened pre-1400s… And now you’ve got this.” In a later interview, Marty explains that, although some uncertainty still remains, Lewton-Brain’s analysis of the Lot 21 brooch has opened his mind up to new possibilities. Lewton-Brain concludes his analysis by stating that the Lot 21 brooch is possibly “countryside work” and definitely of European origin. He encourages the Oak Island crew to consult the databases of London, England’s British Gemological Society, from which they might be able to learn more about their artifacts. The following day, Marty Lagina, Craig Tester, and Alex Lagina drive to St. Mary’s University in Halifax, Nova Scotia. There, they meet with associate professor of Chemistry Dr. Christa Brosseau and research instrument technician Dr. Xiang Yang. The treasure hunters present the scientists with the Lot 21 brooch, which Brosseau and Yang subsequently examine with an electron microscope. The scientists determine that the outer decorative housing is made of brass, and that the inner housing in which the glass gem is set is composed of pure copper. They also conclude that, in accordance with Laird Niven’s assertion, parts of the brooch are coated in gold leaf. Later, Rick Lagina and Dan Henskee walk to the Money Pit area, where the men of Eagle Canada inform them that their seismic survey is complete. The seismic crew members tell the treasure hunters that the survey data should be fully analyzed in “a couple weeks”. The episode ends with the narrator’s announcement that the road to Smith’s Cove has been completed, and that the construction of the cofferdam will soon commence. The camera pans to the causeway, where tractor-trailers loaded with heavy equipment slowly make their way onto the island. 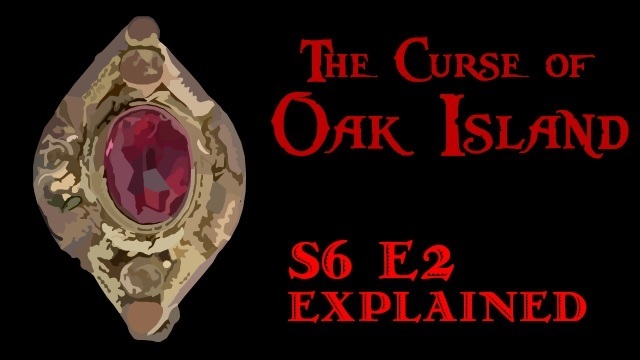 In this episode, Calgary-based gemologist Charles Lewton-Brian examines the gem from the brooch found on Oak Island’s Lot 21 and determines that it is made of red-coloured lead glass. He immediately remarks that the artifact could be up to 500 years old. Coloured glass has been used in jewelry for millennia, often functioning as imitation gemstones. Considering its colour, the glass gem in the Lot 21 brooch was perhaps meant to imitate a ruby. The fact that the gem bears facets, considering the history of facet-cutting, suggests that it was probably crafted no earlier than the 1400s. In this episode, Charles Lewton-Brain examines the brooch found on Oak Island’s Lot 21 and observes that the wire that encircles the artifact’s bezel bears diagonal lines. These markings, according to Lewton-Brain, indicate that the wire was formed through block twisting- an ancient method of wire manufacture not commonly found in post-14th Century artifacts. Block twisting was employed as early as Classical Antiquity. This wire-making method involves hammering a quantity of metal into a thin sheet, cutting a narrow ribbon from this sheet, and twisting the ribbon at both ends as tightly as possible. The twisted cord is then rolled between two planks of hard wood until it forms a smooth wire. Although the spiral-shaped grooves resultant of the twisting process can be completely removed during the rolling process, some vestige of these markings usually remains. Block twisting was not the only method used by ancient wire makers. 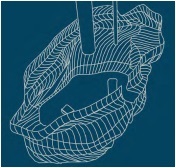 Another method, called “strip-drawing”, involves threading thin metal strips through small holes. While passing through the hole, the strip curls in on itself, forming a thin, hollow tube. A simpler, more primitive method of wire making involves hammering and rolling an ingot until it forms a cord. Over time, one particular method of wire-making eclipsed all others. This method, called “drawing”, involves pulling a metal rod through a series of cone-shaped holes of steadily decreasing diameter. These holes are bored through either a “die” or a “drawplate”, the latter being a plank of metal, wood, or bone. When passed through a hole smaller than its diameter, the rod becomes thinner and longer. The origin of this wire-making technique is a mystery over which historians have debated for centuries. Some say that wire drawing was invented by the Ancient Egyptians. Others suspect that Persians employed it as early as the 6th Century B.C. Others still contend that it was first used by the Romans, while many more argue that Merovingian Franks invented it in the 7th Century A.D. Most historians agree, however, that the first written reference to the drawplate is the Treatise of Theophilus, an early 12th Century Latin text describing various medieval arts, and that the earliest universally-accepted drawplates are 10th Century Viking artifacts. Although wire drawing gradually superseded all other forms of wire-making techniques during the Middle Ages, it would certainly be possible for medieval and post-medieval jewelers to craft their wires using more ancient methods like block twisting and strip-drawing. Wire makers might even be forced to use these methods if they found themselves in want of a drawplate. Therefore, although the spiral wire on the Lot 21 brooch may be more consistent with pre-medieval jewelry, it by no means eliminates the possibility that the artifact was crafted in more recent times. 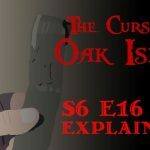 The following is a plot summary and analysis of the Season 6 premiere of the History Channel’s TV series The Curse of Oak Island. Brothers Rick and Marty Lagina head to Oak Island for another season of treasure hunting. During the drive, Rick asks the historically skeptical Marty how confident he is that “something happened on Oak Island.” The younger Lagina replies that he is now “70% convinced that something very out of the ordinary” took place, and admits that his views have changed considerably in light of the many interesting discoveries made on the island the previous year. He later states that these discoveries have motivated him to increase operations on the island tenfold this season. The brothers arrive on Oak Island and head to the War Room, which is now located at a different part of the island devoid of summer tourists. There, they meet with the “Fellowship of the Dig” and discuss the agenda for the upcoming season. Rick suggests that they spend this season working on the “Big Three”: the Money Pit, the Swamp, and Smith’s Cove. His suggestion is met with general acclaim. 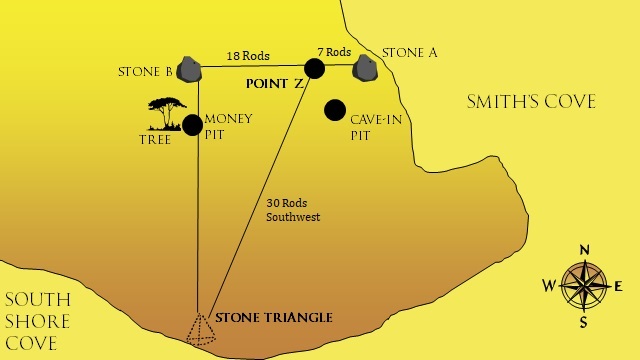 Regarding operations on Smith’s Cove, the treasure hunters agree that they would like to fully expose the mysterious U-shaped structure, a piece of which was unearthed in Season 5, Episode 16. Craig Tester remarks that, in order to accomplish this, they will need to build an enormous cofferdam around Smith’s Cove. This structure, the narrator informs us, will be larger than any other cofferdam ever constructed in the island. 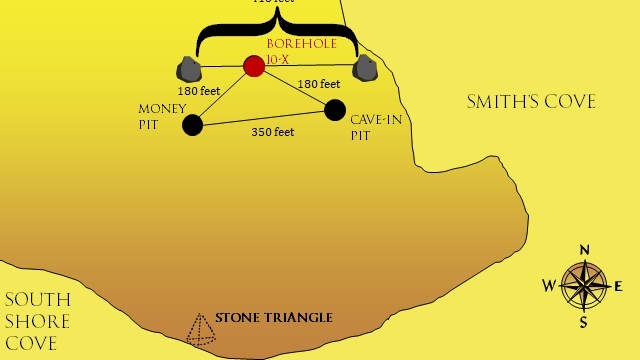 Regarding operations in the Money Pit area, the treasure hunters agree that there is likely more information to be extracted from Borehole H8, which yielded parchment, leather, and human bones the previous year. Rick also suggests that they conduct a seismic survey of the Money Pit area in order to come to a better understanding of its subterranean nature. The narrator then explains that this seismic survey will entail hiring a seismic exploration crew to lay out lines of geophones (devices which detect seismic waves) in the Money Pit area, as well as perpendicular lines of blast charges across them. The seismic crew will then detonate the charges, sending seismic waves into the earth. Some of these waves will reflect off bedrock and travel back to the surface. The geophones will capture data from these shockwaves, which a geophysicist will later interpret in the hope of identifying and locating any underground anomalies in the surveyed area. Talk then turns to the rhodolite garnet brooch which Gary Drayton discovered on Oak Island’s Lot 8 in Season 5, Episode 16. Marty states that he would like Drayton to metal detect the entire island. 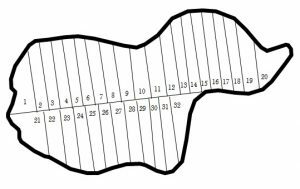 Rick then suggests that they clear Lots 1-8, as well as Lots 21 and 22, of trees and brush so that Drayton can search these areas more thoroughly and efficiently. The following day, Rick and Marty Lagina, Craig Tester, and Dave Blankenship meet with Alex Gauthier of Eagle Canada (a seismic exploration company) at the Money Pit area. It is revealed that Eagle Canada will conduct a preliminary seismic survey on a small patch of ground where the Halifax Tunnel is believed to be located. If the survey data yields a clear picture of the area which is consistent with the Oak Island team’s knowledge of the Halifax Tunnel, the Fellowship of the Dig will allow Eagle Canada to conduct a larger, more expensive seismic survey of the entire Money Pit area. While the men of Eagle Canada lay their geophones, Marty Lagina, Charles Barkhouse, Gary Drayton, and Laird Niven head to Smith’s Cove, where they do some metal detecting. The narrator explains that harsh winter storms had eroded the beach at Smith’s Cove, potentially bringing buried artifacts closer to the surface. Drayton quickly uncovers an iron nail which Niven estimates to be late 19th Century. Shortly thereafter, he uncovers a small scrap of lead sheet. Drayton and Niven explain that lead was once commonly used to patch up damaged ships, and suggest that this artifact is likely such a patch- perhaps even a patch from a Spanish galleon. Later, the Oak Island crew congregates at the Mug & Anchor Pub in the nearby town of Mahone Bay, on the mainland. There, Rick Lagina informs the team that the University of New Brunswick has agreed to run a laser ablation test on the lead cross (which Rick has dubbed ‘Drayton’s Cross’ after its discoverer)- a procedure which may help determine the artifact’s geographic origin. Rick tasks Peter Fornetti with taking the cross to the university. The next day, Rick Lagina, Gary Drayton, and Laird Niven head to Oak Island’s Lot 2, on the island’s western end, where Drayton starts metal detecting. At the base of a large granite boulder, Drayton gets a hit on his metal detector indicating a non-ferrous metal at depth. Rick digs at the prescribed location and unearths a 1797 British twopence bearing the image of King George III. Meanwhile, at the Money Pit, Craig Tester, Dave Blankenship, Jack Begley, and Charles Barkhouse watch as the men of Eagle Canada conduct their seismic test in the Halifax Tunnel area. The following day, the Oak Island crew meets in the War Room with several members of the Eagle Canada crew, and with geophysicist Jeremy Church, who is in attendance via Skype. Church presents his analysis of the seismic survey data, showing the crew a cross-section of the ground that was tested and pointing out the location at which the data indicates the presence of the Halifax Tunnel. 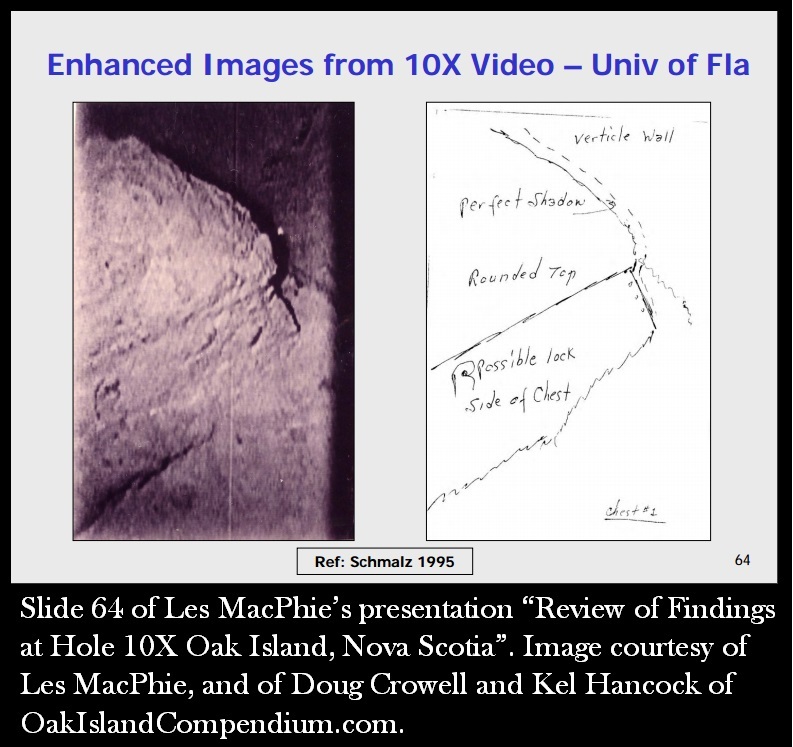 Jack Begley remarks that the depth of this anomaly (specifically 90 to 120 feet) is consistent with the Oak Island crew’s understanding of the nature of the Halifax Tunnel. Rick Lagina passionately thanks the crew of Eagle Canada for their good work. The following day, the men of Eagle Canada begin laying lines of geophones and charges all across the Money Pit area. After all the lines are laid, the seismic crew detonates the charges while the Oak Island crew members stand by. Meanwhile, Craig Tester, Dave Blankenship, and Peter Fornetti drive to the University of New Brunswick in Fredericton, NB. They head to the Department of Earth Sciences building and meet with geochemistry professor Dr. Chris McFarlane, who tells them about the laser ablation test the university will conduct on Drayton’s Cross. He explains that, during the operation, he will use lasers to vaporize a microscopic portion of lead on the cross and funnel the gas into a mass spectrometer- a device which will enable him to determine the precise chemical makeup of the sample. The isotopic ratios present in the vaporized sample may help him to determine the artifact’s place of origin. The treasure hunter give McFarlane the lead cross, which he takes to a lab with a mass spectrometer. After remarking that the corrosion on the cross is indicative of the artifact’s having spent several centuries underground, the professor attaches the object, along with six other reference samples of lead, to a plate, which he then inserts into the mass spectrometer. After defining twenty sample locations on the cross, McFarlane starts up the laser and initiates the sample-collecting process as the treasure hunters and lab technician Brandon Boucher look on. While the laser ablation operation is underway, Jack Begley and Gary Drayton search for more surface artifacts on Oak Island’s Lot 2. After doing some metal detecting near a large granite boulder, Drayton’s metal detector indicates the presence of iron. The treasure hunter removes a layer of moss from the boulder and discovers the rusted head of an iron spike which has been completely embedded in the rock. Near the iron spike is a shallow drilled hole. Drayton suggests that the spike and hole constitute the remains of a ring bolt through which a chain or rope was threaded for the purpose of hauling heavy objects. Certain that they have discovered a relic of the original depositors, an excited Begley and Drayton call up Rick Lagina and inform him of the find. Rick soon arrives on the site with Doug Crowell. The treasure hunters all agree that they ought to let archaeologist Laird Niven examine the boulder before they conduct a more thorough investigation of the object, in accordance with Nova Scotian law. Back in Fredericton, Dr. Chris McFarlane analyzes the results of the laser ablation test that has just been conducted on Drayton’s Cross. He informs the crew that the lead cross contains trace amounts of silver- an indication that the object was crafted using old-fashioned smelting techniques. The narrator then explains that an important source of lead is galena, an ore containing significant concentrations of silver, and that lead objects crafted prior to 19th Century advances in smelting often contained trace amounts of silver. McFarlane then compares the isotopic ratios in Drayton’s Cross with samples of North American lead, and concludes that the artifact was not crafted anywhere in North America. Craig Tester, Dave Blankenship, and Peter Fornetti thank the professor for his work and head back to Oak Island. Later, the Oak Island crew meets in the War Room, where Craig Tester, who is in attendance via Skype, relates the findings of the laser ablation test. The treasure hunters express their pleasure in the knowledge that Drayton’s Cross is not a product of North America, and agree that further testing of the artifact is in order. Later, Rick Lagina and Gary Drayton head to the newly-found drilled stone with Laird Niven so that the archaeologist might prescribe an excavation procedure. After photographing the drilled stone, Niven allows the treasure hunters to remove more of the moss that covers it. More of the stone is uncovered, revealing five additional drillholes which form a line. When even more moss is pulled away, Rick Lagina spots a faint triangular mark on the stone, which Niven suggests may have been chiseled, and might even constitute a stonemason’s signature. Rick expresses his desire to determine whether the marking is really a man-made carving, “or even an attempt at a carving”. Later, Marty Lagina and Peter Fornetti meet with geophysicist Mike West (who conducted a conductivity test in the Money Pit area in Season 5, Episode 6) and technician Andrew Gillis at Smith’s Cove. West and Gillis proceed to carry out a metal-detecting operation with an EM61 Metal Detector- a device which the narrator informs us is able to sense metal objects at a depth of nearly 20 feet, and which can pinpoint the precise location of the target using GPS technology. Meanwhile, Rick Lagina, Craig Tester, and Dave Blankenship drive to Saint John, New Brunswick, where they meet with David Irving and Victor Murty of Irving Equipment Ltd. In a boardroom in Irving Equipment Ltd.’s headquarters, the contractors discuss the upcoming excavation in Smith’s Cove, and inform the treasure hunters that they have made an “augmented reality” model of Oak Island so that they might give the treasure hunters a more “immersive” understanding of the operations they intend to carry out. Murty proceeds to don a pair of HoloLens goggles, through which he can see the 3D “augmented reality” model of Oak Island. The goggles have a built-in camera which enables the treasure hunters to see Murty’s point of view on a screen. With this visual aid, the contractors show the treasure hunters a model of the cofferdam they plan to construct around Smith’s Cove, and explain how they plan to build it. First, Murty explains, they plan to build a road from the Money Pit area to Smith’s Cove. That accomplished, they will construct a crane pad on the beach which will enable them to place the cofferdam components via crane. After the presentation, Rick remarks upon the considerable scale of the operation, and emphasizes the importance of the upcoming operation at Smith’s Cove. Back at Smith’s Cove, Mike West gets a hit on the EM61 Metal Detector. West explains to Peter Fornetti that although he cannot determine the depth of the object the EM61 has located, the object appears to be of considerable size. The next day, Rick Lagina and Gary Drayton go metal detecting on Oak Island’s Lot 21, in the vicinity of the old McGinnis family cabin. The pair quickly unearth an old rusted hinge. Shortly thereafter, Drayton discovers “another bobby dazzler”- specifically a brooch with a red gemstone set in the centre, reminiscent of the rhodolite garnet previously discovered on Lot 8. “The Brooch Brothers are back!” Drayton exclaims before fist-bumping Rick and slipping the brooch into his top pocket. In this episode, geophysical company Eagle Canada conducted a seismic survey of the Money Pit area. 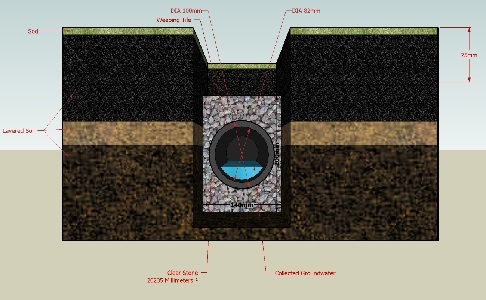 Before the Oak Island crew allowed them to proceed with this larger, more expensive operation, they first had them survey a smaller patch of ground overtop of the “Halifax Tunnel” so that they might prove the efficacy of their service. The “Halifax Tunnel” is a bit of a misnomer, as it could apply to a number of tunnels constructed in 1866 and 1867 by members of the Halifax Company (also known as the Oak Island Eldorado Company), an Oak Island treasure-hunting syndicate. This company was headed by Jotham McCully and James McNutt- veterans of an earlier treasure-hunting company called the Oak Island Association. Although it was known that the Halifax Company had constructed several shafts and tunnels in the Money Pit area prior to their dissolution in 1867, the location of these structures was not documented and, for many years, was believed to be lost. Fortunately, in 1937, Oak Island treasure hunter Gilbert Hedden rediscovered a tunnel dug by the Halifax Company when sinking the Hedden Shaft just east of the Chappell Shaft; at a depth of 104 feet, his crew discovered a narrow 4’ x 6.5’ tunnel with hemlock cribbing. Years later, in 1965, treasure hunter Robert Dunfield discovered what was believed to be another undocumented Halifax Company tunnel near the Cave-in Pit. In Season 2, Episode 3 of The Curse of Oak Island, the men of Oak Island Tours Inc. attempted to relocate the Halifax Tunnel discovered by Gilbert Hedden in 1937 via exploration drilling. The operation was ultimately unsuccessful. 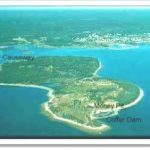 Apparently, the Oak Island crew conducted a similar operation without our knowledge and succeeded in locating another Halifax Tunnel. 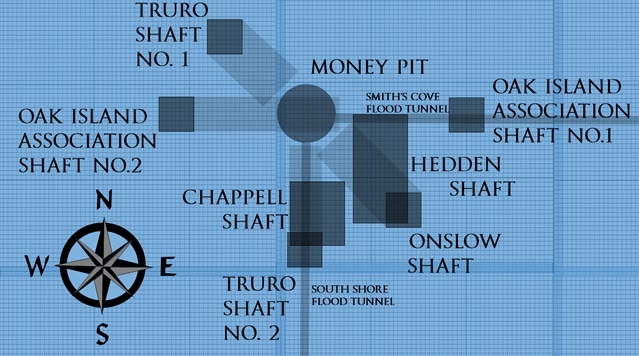 In this episode, the narrator informed us that this particular “Halifax Tunnel” begins at the bottom of a 110-foot-deep shaft sunk 200 feet south of the Money Pit and runs north for an unspecified length before it intersects a flood tunnel. In this episode, it was revealed that the men of Oak Island Tours Inc. plan to construct an enormous cofferdam around Smith’s Cove so that they can excavate the area without having to contend with the tide. The narrator informed us this structure will be the largest of its kind ever build on Oak Island. The first was built in the summer of 1850 by members of the Truro Company, who hoped to dismantle and plug the Smith’s Cove box drains. This cofferdam was swept away by a ferocious Atlantic storm shortly after its construction. The second cofferdam was built in 1866 by the men of the Halifax Company. Like its ill-fated predecessor, this structure was also washed away by a storm. Dan Blankenship built his own cofferdam in 1970, which also failed to withstand the maritime elements. In Season 4, Episode 11 of The Curse of Oak Island, Jeremy Frizzell began to construct a small, temporary, 8-foot-high inflatable cofferdam around Smith’s Cove. Before it could be fully assembled, however, the cofferdam inexplicably ruptured, rendering it useless. In Season 4, Episode 12, Jack Nichols of Dam-It-Dams built a cofferdam which allowed Oak Island Tours Inc. to uncover what they believed to be remnants of a French drain on Smith’s Cove. Apparently, this cofferdam was demolished by the storms that ravaged Oak Island in the winter of 2017/18. Some have speculated that the mysterious U-shaped structure which lies beneath Smith’s Cove constitutes the remains of an ancient cofferdam erected by the original Money Pit builders. Having learned from the mistakes of the past, Oak Island Tours Inc. has wisely decided to build an enormous cofferdam which will, in theory, be able to withstand any storm the Atlantic can throw at it. Perhaps this structure will help the crew solve the mystery of the box drains, the lead cross, and the French drain once and for all. In this episode, Jack Begley and Gary Drayton, while metal detecting on Oak Island’s Lot 2, discovered a large boulder with six drilled holes and an iron spike driven into it. This is not the first drilled rock to be discovered on Oak Island. In the summer of 1938, treasure hunter Gilbert Hedden discovered two similar rocks, one of which was estimated to lie 50 feet north of the Money Pit, and the other about 415 feet due east of the former, on Smith’s Cove (the Smith’s Cove drilled stone was later displaced in the 1960s during Robert Dunfield’s heavy duty operation on Oak Island). These rocks bore manmade holes about two inches deep and one inch in diameter. Prior to this discovery, Hedden had heard rumours about these rocks, which he was told had been found by earlier treasure hunters, but initially took little interest in them. That all changed when his lawyer, R.V. Harris, presented him with a bizarre document known as the Wilkins Map- a document which indicated that the drilled stones were of the utmost importance. Hedden subsequently had his crew search for these stones, which were found without great difficulty. Unfortunately, the fascinating story which follows this discovery is too complicated to detail in this article. For more information on this bizarre chapter of Oak Island history, please check out our analysis of Season 5, Episode 3. The drilled rocks rediscovered by Gilbert Hedden feature in a number of intriguing Oak Island theories, including the theory involving the Wilkins Map, Laverne Johnson’s theory, and Robert Restall’s theory of the Vertical Shaft. Borehole 10-X also lies on the hypothetical line between these two stones. In the 1970s, Dan Blankenship discovered three more drilled rocks similar to Hedden’s, all of which were located north of the Money Pit area. Fred Nolan also discovered several drilled rocks on his Oak Island property, along with a number of rocks with metal ringbolts embedded in them- artifacts evocative of the theory put forth in this episode that the drilled stone on Lot 2 once housed a ringbolt which functioned as a primitive pulley. Another drilled rock was discovered in Season 3, Episode 1, when British Columbian engineers Mike and Sean Herold came to Oak Island in order to test the late Laverne Johnson’s theory. In this episode, “Brooch Brothers” Rick Lagina and Gary Drayton discovered an old bejewelled brooch on Oak Island’s Lot 21, near the foundations of Daniel McGinnis’ house. This artifact is strongly reminiscent of the rhodolite garnet brooch discovered on Lot 8 in Season 5, Episode 16. In the Season 5 finale, Gary Drayton claimed that an unnamed gemologist examined the rhodolite brooch and estimated that it had likely been fashioned in the 16th or 17th Century. Perhaps this second brooch will prove to be of a similar age. 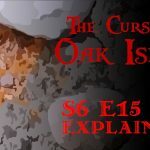 This episode of The Curse of Oak Island: Drilling Down serves as a follow-up to the Season 5 finale of The Curse of Oak Island. Host Matty Blake meets with Rick and Marty Lagina in the War Room, where a number of interesting artifacts are out on display. Marty explains that these artifacts constitute a portion of the discoveries made on Oak Island that season, the total number of artifacts being over six hundred. First, our attention is directed towards the rhodolite garnet discovered in Season 5, Episode 16. Marty affirms that a certain gemologist estimated the artifact to be “four to five hundred years old”. He also remarks that although the gemstone is not particularly valuable, it constitutes the first piece of real treasure found on Oak Island. Our attention is then directed towards the fragments of human bone discovered at depth in the Money Pit in Season 5, Episode 5. We are reminded that one of these bones, found at a depth of 160 feet and determined to be of European extraction, was carbon dated from 1678-1764. No mention is made of the other bone believed to be of Mesopotamian origin, although we are shown eight other fragments of bone-like material which Marty claims have “yet to be tested”. Next, Blake asks the brothers about a pile of leather scraps which came out of H8. Although only one of these scraps was showcased in the show, fifteen are on display in the War Room. Marty explains that analysis revealed these scraps to constitute “the leather covering of an ancient book”. Rick then opines that this discovery, coupled with the discovery of a parchment scrap in the same load, is evidence that the Money Pit’s treasure is comprised of documents and manuscripts of historic significance as opposed to temporal wealth. Marty then asks Blake to consider all the artifacts on display and pick out the single item that doesn’t belong. 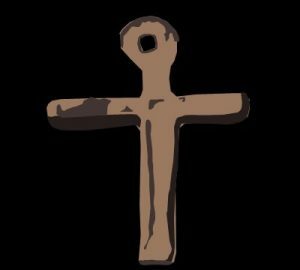 After some deliberation, Black singles out the mysterious lead cross discovered in Season 5, Episode 10. “Bingo,” says Marty. “[It’s] crazily out of position. For all intents and purposes, or as best we know right now, that’s medieval. It’s pre-13th Century.” Rick then reminds us that the cross bears a remarkable resemblance to an image carved into the walls of Domme Prison, where members of the Knights Templar were incarcerated following the dissolution of their Order. After Blake attempts to convince a skeptical Marty that the lead cross is proof that the Knights Templar are behind the Oak Island mystery, Marty contextualizes the anomalous artifact thus: “There’s a lot of data that seems to point to the 1600s at this point, and then there’s [the lead cross]”. Blake then proposes that the Knights Templar buried manuscripts on Oak Island, and 17th Century treasure hunters attempted to recover these manuscripts. After conceding that the evidence appears to indicate that Oak Island played host to “two significant visitations… one very ancient… and one just 400 years old,” Marty remarks that he is reticent to “take outlandish positions” before the lead cross has been sufficiently analyzed. Following this debate, Marty concludes that despite his historic skepticism regarding the Oak Island mystery, he is now convinced that something significant indeed took place on Oak Island at least a century prior to the discovery of the Money Pit in 1795. Next, we are transported to Smith’s Cove, where Matty Blake interviews Rick Lagina, Alex Lagina, and Gary Drayton. Upon being prompted by Blake, Drayton points out the location at which he discovered the lead cross. He then suggests that this discovery was made possible by erosion resultant of the severe storms which buffeted Oak Island in the winter and spring of 2017, and by the recent excavations conducted at Smith’s Cove. “I think the cross was brought up from wherever it settled down,” he concludes. Although Drayton is somewhat tight-lipped on the subject, Rick remarks that Drayton’s initial reaction upon finding the lead cross was that it was a discovery that he would sooner expect to make in England. Blake then asks three men whether the cross will rewrite North American history if it proves to truly be of medieval origin. Alex Lagina remarks that it has the potential to do this, but cannot do so on its own. The three treasure hunters conclude that the discovery of the lead cross necessitates additional excavation operations on Smith’s Cove. Next, Matty Blake informs us that the treasure hunters made a physically massive find that season, but that the find was never showcased on the show. We are then transported to the Money Pit area, where Marty Lagina leads Blake to a shallow fenced-off pit, at the bottom of which lies an intact segment of wooden cribbing from an old searcher shaft. Marty suggests that this shaft was sunk in the early 19th Century, thereby inadvertently suggesting that the cribbing was probably constructed the Onslow Company. Blake accepts Marty’s offer to ride to the bottom of the bit in a backhoe bucket. At Marty’s suggestion, Blake subsequently examines the cribbing and learns that the structure’s constructors has waterproofed the shaft with “perfectly-worked clay”. Next, Matty Blake meets with Rick and Marty Lagina, Dave Blankenship, and Charles Barkhouse at the Money Pit area, which is now absent of the oscillator and the hammergrab. After some prompting by Blake, the treasure hunters affirm that the Geotech Grid was a success which yielded a handful of objects almost certainly belonging to the original depositors. Marty claims that these discoveries led him to believe that H8 is the location of the original Money Pit. Rick then explains that the implication of these discoveries necessitates a more thorough investigation of H8, which will require the importation of expensive heavy-duty equipment. Next, Blake meets with Craig Tester, Jack Begley, and Laird Niven. We are reminded that Niven is the one who immediately recognized the bone fragments for what they were, and the treasure hunters briefly discuss the mystery of Samuel Ball. Blake then asks the two men what advice they would give to their fathers regarding the Oak Island quest. Alex Lagina maintains that he would advise his father, Marty, to occasionally “suspend disbelief”, and would caution his uncle Rick to avoid falling into obsession. Begley, who suddenly and unexpectedly lost his step-brother, Drake Tester, the previous year, claims that he would encourage his grieving step-father, Craig Tester, to “stay strong” and continue the quest. Talk then turns to the late Drake Tester. An emotional Begley states that bonding with his family was more important to Drake than the Oak Island mystery, evoking the message that Drake wrote on GAL1 caisson in 2016: “Forever Family”. Next, Jack Begley gives Matty Blake a lesson in sifting through spoils from the Money Pit area- an exercise which occupied much of Begley’s time the previous season, and which resulted in the discovery of many of the season’s most intriguing artifacts. 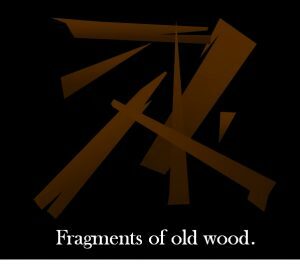 While sifting through some spoils from J8- which Begley describes as “the closest hole which passes by H8 at depth”- Blake discovers several splinters of wood, as well as a small piece of charcoal (charcoal likely being a relic of the original Money Pit depositors). Next, Matty Blake meets with author Kathleen McGowan, whom he describes as an expert on the Knights Templar theory. 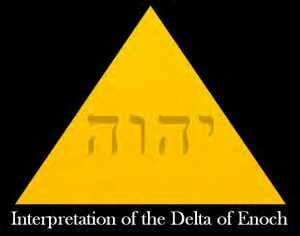 The two get in a golf cart and drive to the Oak Island swamp, where McGowan suggests that the swamp’s triangular shape might be a connection to the triangular Delta of Enoch- a legendary artifact which some associate with the Knights Templar. She further opines that the Oak Island treasure is really buried at the western end of the Oak Island swamp, at a location prescribed by writer Alan Butler in Season 2, Episode 7. McGowan reminds us that, after conducting ground-penetrating radar over the site prescribed by Butler, the Oak Island crew discovered indications of a “tomb-shaped” anomaly. McGowan further states her belief that although Oak Island’s treasure lies at this location, the gateway to this treasure is an underground passageway which begins at the Money Pit. Blake and McGowan then head to the Money Pit area, where the latter describes similarities between the nine layers of oak logs in the original Money Pit and the supposed design of the First Temple of Solomon. McGowan then opines that the Money Pit contains decoy treasures designed to satisfy the greed of treasure hunters, and claims that the true treasure can be accessed by a hidden tunnel further below. Finally, Blake meets with the whole Oak Island crew in the War Room. After discussing their impressions of the past season, the crew members discuss their next course of action. Rick Lagina suggests that they ought to re-explore the swamp. Craig Tester suggests that they construct a “freeze ring” in the Money Pit area so that they might excavate without having to contend with the flood water- an expensive operation which Oak Island treasure hunters have considered for years, yet have never employed. The treasure hunters ultimately agree that more consideration is needed before a decision can be made. In this episode, writer Kathleen McGowan explains the Enochean Chamber theory- an idea which was first introduced in Season 2, Episode 7: The Trail of the Templars. Back in S2/E7, Rick and Marty Lagina, Alex Lagina, Dave Blankenship, and Charles Barkhouse met with Kathleen McGowan and Alan Butler to the town of Saltcoats on the west coast of Scotland. After the group toured Kilwinning Abbey, McGowan and Butler outlined their own Oak Island theory. According to this theory, outlawed Templar Knights, following the suppression of their Order, fled to Scotland with the legendary Templar treasure and allied themselves with Scottish Tironensian monks. The Tironensians, who were celebrated stonemasons, hid the Templar treasure in the chapels they constructed. Then, in 1398, Scottish nobleman Henry Sinclair- the grandson of the man who commissioned one of these Tironensian chapels (specifically Rosslyn Chapel)- brought the Templar treasure across the Atlantic to Oak Island, where he and a crew of Tironensians buried it. After outlining this theory, Butler suggested that Oak Island’s true treasure is located 996 feet due west of the Money Pit, on a spot on the west end of the swamp. He explained his reasoning by stating that the dimensions of the Money Pit led him to believe that the unit of measurement used by the Money Pit builders was the hypothetical “megalithic yard” (2.72 feet or 0.83 metres), which some fringe researchers believe was employed in the construction of ancient megalithic structures like Stonehenge, Avebury, and the Callanish Stones. Butler believed that this unit of measurement was adopted by Tironensians, who used it in their own buildings, as well as on Oak Island. As Rosslyn Chapel is connected to nearby Rosslyn Castle by a tunnel measuring 336 megalithic yards in length, Butler believed that the Money Pit is connected to the real treasure site- a 10’x10’ chamber- by a 996-foot-long subterranean passageway. He dubbed the location of the real treasure the “Enochean Vault” in accordance with his belief that it symbolically paralleled the chamber beneath Mount Moriah which contained the Delta of Enoch (for more information on the Delta of Enoch, please check out The Royal Arch of Enoch in our analysis of Season 5, Episode 14). In Season 2, Episode 8, the Oak Island crew conducted a GPR scan of the location of the hypothetical Enochean Chamber. The device they used made two positive readings indicating the presence of some sort of underground anomaly precisely in the Enochean Chamber area. Unfortunately, further analysis indicated that this anomaly was not a 10’x10’ underground chamber in congruence with Butler and McGowan’s theory. Marty Lagina remarked that this inconclusive data was “probably the worst thing that could have happened” to the Oak Island team, and later stated his desire to “put an X” through the swamp. Rick, on the other hand, affirmed his desire to continue operations in the swamp. 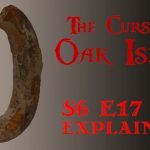 This episode of The Curse of Oak Island: Drilling Down serves as a follow-up to the Season 5 premiere of The Curse of Oak Island. Host Matty Blake sits outside in a circle with the Oak Island crew, presumably somewhere on the island itself, to discuss the implications of Season 5, Episode 1. First, he asks Charles Barkhouse where the shiny, gold-coloured object inside the C1 Shaft went. Charles suggests that the hammergrab might have pushed this mysterious object deeper into the earth. Finally, Blake asks the crew whether C1 will feature later on in the season. Rick Lagina affirms that it probably will. Next, most of the crew laments the damage dealt to the Oak Island causeway and the South Shore road by violent windstorms. 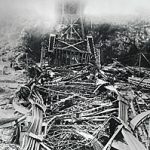 Marty Lagina, on the other hand, states that he views the damage as an opportunity to discover interesting surface items, which might otherwise be languishing deep underground, out of the range of metal detectors. Next, Blake asks the crew if they plan to do some work in the swamp this season. Rick Lagina responds, “the short answer is ‘yes’”, while Marty Lagina, who has exhibited an aversion to the swamp in the past, indicates his desire to refrain from such activity. After that, Blake asks the team “how gratifying” it was for them “to find man-made workings on Smith’s Cove.” Jack Begley replies that the discovery of the French drain in Season 4, Episode 13 proved to him that people had indeed done work on Smith’s Cove prior to the discovery of the Money Pit. Craig Tester then reveals that the team intends to uncover the mysterious U-Shaped structure, first discovered on Smith’s Cove by Triton Alliance in the early 1970’s. Next, Blake suggests that the most skeptical member of the Oak Island crew is no longer Marty Lagina, but rather the Lagina brothers’ nephew Peter Fornetti. When the host asks Fornetti whether he and Gary Drayton, who he often assists in metal detecting, have found anything of interest on the island yet, the young treasure hunter remains tight-lipped, presumably in accordance his Non-Disclosure Agreement with the History Channel. After that, Marty Lagina informs Blake that he and the crew will be approaching the Oak Island treasure hunt “more scientifically” this season, and are planning to conduct an operation which will “let [them] get to the bottom of at least a good portion” of the Oak Island mystery. When pressed by Matty Blake, Marty reveals that operation will involve something called a “Geotech Grid”. Rick Lagina then suggests that Blake accompany him and the crew to the Money Pit area, where they will be better able to explain this upcoming operation. At the Money Pit area, the Lagina brothers explain that the Geotech Grid will help them discover the true location of the original Money Pit and unearth the “one thing that proves Oak Island to be real.” They show Matty Blake several large pieces of drilling equipment, and reveal that they plan to make 43 exploratory drillholes in the Money Pit area, each one spaced five feet apart from its neighbours. The pattern which these drillholes will form is called the Geotech Grid. 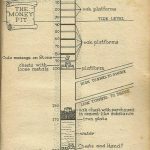 Marty reveals that they have already completed most of the Geotech Grid, and that he believes, with a high degree of certainty, that a particular drillhole intersects the original Money Pit. Later, Matty Blake meets with Gary Drayton. After Blake flattens a pile of spoils from GAL1 with a backhoe, Drayton begins to examine the rubble with his metal detector. While he works, Drayton explains that his most interesting find in Season 4, in his opinion, is the identifactory musket plate belonging to Samuel Ball. Soon, he uncovers a small piece of scrap metal which, we learn, is typical of the many uninteresting finds he often makes in between significant discoveries. Later on, Blake meets with Jack Begley, Alex Lagina, and Gary Drayton at the Oak Island swamp. After speaking briefly on the subject of the metal spike they found there in Season 4, Episode 7, the treasure hunters explain that they have already been able to unearth a number of interesting artifacts on the island thanks to erosion resultant of the aforementioned storms, which brought these items closer to the surface. Sometime later, Matty Blake crashes an Oak Island tour led by Charles Barkhouse and takes the tourists down to the swamp. There, Barkhouse quotes a line from Edgar Allan Poe’s short story The Purloined Letter: “The best place to hide something is in plain sight.” He goes on to state that it is his and Rick Lagina’s belief that either something is buried in the swamp, or the swamp contains a “back door to the treasure vault.” By a show of hands, most of the tourists appear to hold the same belief. After taking the tourists to see Borehole 10-X, Blake and Barkhouse bring their charges to the Money Pit area. 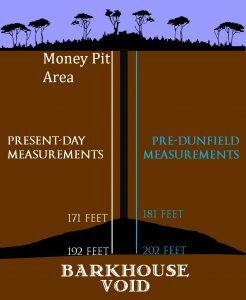 There, Barkhouse explains that, to this day, the true location of the original Money Pit remains a mystery. Later, Blake meets with Dave Blankenship at Smith’s Cove in order to discuss the mysterious U-shaped structure which Triton Alliance first discovered in the early 1970’s, and which Oak Island Tours Inc. plans to rediscover in Season 5. Blankenship explains that he doesn’t know a thing about the structure, and that he has never even seen it, as he became involved in the Oak Island treasure hunt after its discovery. “You need to talk to Dad about that,” he says. With that, the two men set off in Dave Blankenship’s golf cart, bound for Dan Blankenship’s house. On the subject of Dan Blankenship, Dave explains that he’s always been able to work with his father, although the two of them did have disagreements from time to time. “There’s the right way, there’s the wrong way, and then there’s Dad’s way,” he says, “and never shall the three meet.” He goes on to describe how Dan Blankenship became somewhat apathetic following the death of his wife Janie in February 2011, and affirms that his mother’s death was “a huge loss” for himself as well. Finally, as the two pull up to Dan Blankenship’s house, Dave explains that he has absolutely no regrets about his decision to join the Oak Island treasure hunt back in the 1970’s, and that he would do the same thing all over again if he had the opportunity. Finally, Dave and Matty meet with Dan inside the Blankenship home on Oak Island. There, Dan describes his discovery of a mysterious wooden ramp beneath Smith’s Cove, along with the aforementioned U-shaped structure which, to him, appeared to be the remains of a wharf or dock. He explains that he is still uncertain whether the structure was built by the original depositors or by post-Discovery searchers. The veteran treasure hunter, at Blake’s insistence, then tells the story of his brush with death inside Borehole 10-X in 1976, and of how Dave saved his life by winching him to the surface seconds before the shaft imploded. In response to another of Blake’s questions, Dan then expresses some regret about his 50-year-long Oak Island treasure hunt, basing this sentiment upon his failure to unearth the island’s legendary treasure. Later, Matty Bake meets with Rick and Marty Lagina at the Money Pit area. 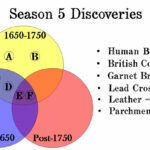 Marty explains that the treasure hunting season featured in Season 5 promises to yield “a lot more data” than other seasons. The Lagina brothers then reveal that they “found something” interesting in Europe, which Rick hints might be associated with the Knights Templar. Finally, the brothers show Blake a piece of wood which Robert Dunfield’s crane operator extracted from the Money Pit area in the late 1960’s. This episode of The Curse of Oak Island: Drilling Down serves as a prelude to The Curse of Oak Island’s Season 4. After the meeting, the team takes Blake on a tour of the Money Pit, now levelled and crowded with heavy duty equipment. 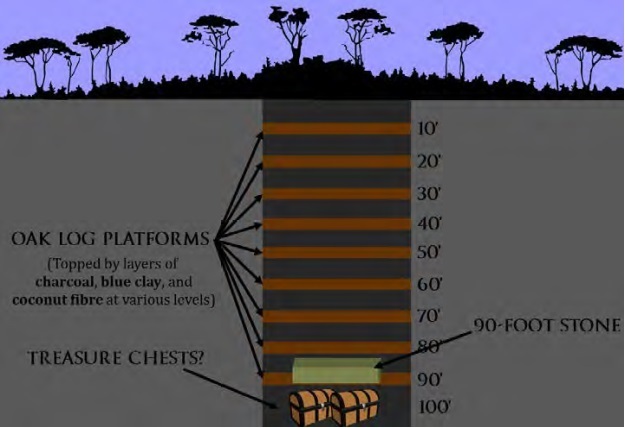 Dave Blankenship explains that, in several days’ time, they will sink shafts in Valley 3 and C1 by twisting toothed caissons into the earth with a casing oscillator, and will remove the material inside the caissons with a massive shovel called a hammergrab. Next, Blake meets with Craig Tester, Jack Begley, Dan Henskee, and Drake Tester (Craig’s son) at Smith’s Cove. Craig explains that the team hopes to discover the legendary Smith’s Cove filter system sometime this season. To do this, they plan to erect a water-filled “bladder system” cofferdam around the area in question, pump seawater from the enclave, and excavate once the area is dry. 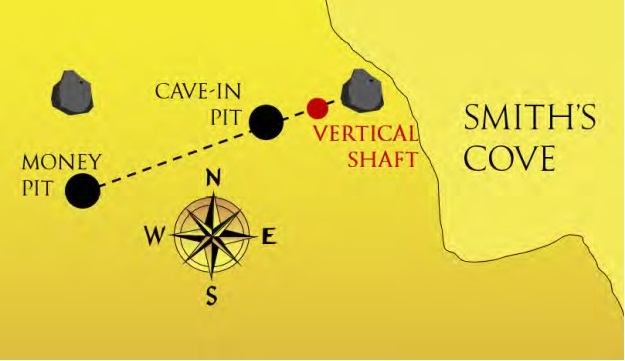 Upon being prompted, Dan Henskee explains that he chose the Smith’s Cove excavation site after finding metal stakes there, which he claims were planted there by Robert and Bobby Restall in the 1960’s to mark the Vertical Shaft. After visiting Smith’s Cove, Blake takes a solo tour of the Oak Island swamp, which appears to have been completely drained. Soon, he is joined by Rick Lagina and Dave Blankenship. Rick explains that one area of interest in the swamp is the spot at which Fred Nolan discovered a line of wooden survey stakes. Nolan and Dan Blankenship had a section of one of these stakes carbon dated to 1550. Another area of interest is a log wall Fred Nolan discovered in the swamp, the exact whereabouts of which remain a mystery. Blake proceeds to try his hand at exploring a section of the swamp with an excavator. When he fills a sandbag corral with swamp muck, Dave Blankenship insists he manually sift through the detritus in order to determine whether he has dug up anything of interest. Blake obliges and digs through the rotten mud with his bare hands, much to Dave’s amusement. After digging for some time without finding anything significant, Blake calls it quits. Next, Blake accompanies Craig Tester and Charles Barkhouse to the Nova Scotia Museum of Natural History in Halifax. 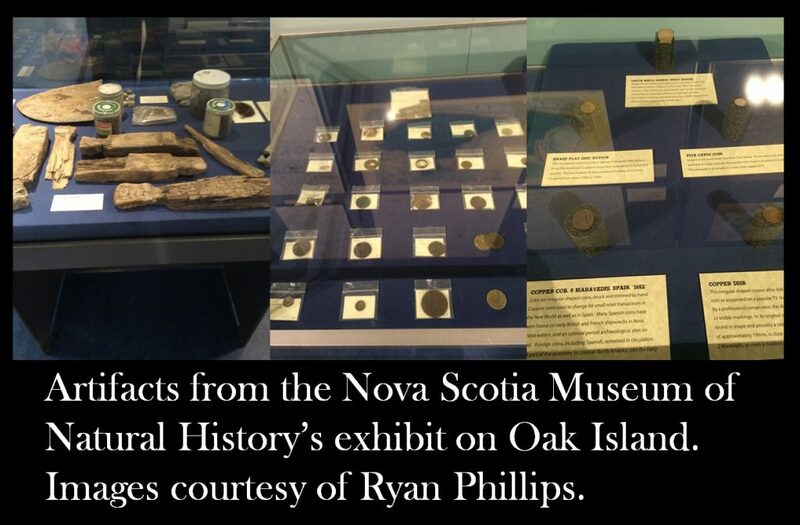 Craig discloses that their Oak Island Treasure Trove Licence stipulates that, in the event that they recover artifacts of cultural and historical significance on Oak Island, they must donate them to the province. They four men then enter the museum, where Charles shows them a section dedicated to various discoveries made on Oak Island over the years. Some of the items on display include old coins, musket balls, and pieces of old worked wood. Charles points out a brooch and a silver spoon handle, discovered on Oak Island’s Lot 24 (once the residence of Samuel Ball) by Gary Drayton in Season 3. 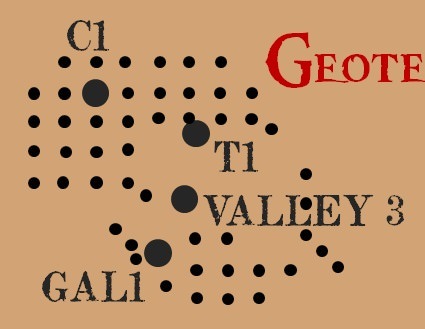 He also indicates the Spanish 8 maravedis, discovered in the Oak Island swamp in Season 1. After visiting the Nova Scotia Museum of Natural History, Matty Blake accompanies Jack Begley to Oak Island’s Lot 26 in order to do some treasure hunting with a metal detector. Jack informs us that it is best to make a “double pass” with the metal detector, scanning over the same area twice before moving on. As it turns out, Jack has already made a hit. He asks Matty to sink his shovel in a circle around the mystery object, forming a plug so as to not damage whatever the metal detector has picked up. Once Matty has removed the plug, Jack runs a hand-held pin-pointer metal detector over it, and over the hole below. The mysterious metal object appears to be buried even deeper, and so Blake removes another plug. After scanning the spoils with Jack’s hand-held metal detector, he uncovers the rusted head of an ancient nail. Later, at the Money Pit area, Blake and the Oak Island crew watch as the casing oscillator is delivered and installed. Then, the first toothed section of caisson is placed over top of Valley 3 and secured in the jaws of the oscillator. Dan Blankenship is afforded the honour of starting up the oscillator, and in no time the sinking of the first Money Pit shaft this millennia is underway. In a final scene, Matty Blake sits down with Rick and Marty Lagina in the Money Pit area. The brothers express their pleasure in finally digging in the Money Pit, and articulate their confidence that they will overcome any obstacle the operation might throw at them. 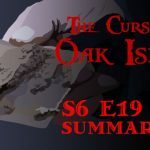 This episode of The Curse of Oak Island: Drilling Down serves as a recap and analysis of The Curse of Oak Island’s Season 3 Finale: Secrets and Revelations. A video plays in which John Chatterton describes what he found at the bottom of 10-X to the Oak Island team. When the video has finished playing, we see that Chatterton and his dive partner Howard Ehrenberg have now joined Rick and Marty at the table. Chatterton breaks down some of the technicalities of his dive in 10-X, elaborating upon his experience inside the shaft and the chamber below. He explains that the chamber’s “tunnels” suggested by various sonar scans appeared to be natural fissures. He goes on to explain that the chest-like object indicated by the scans and an earlier underwater camera operation appeared to be an angular rock, and that the corpse-like object Dan Blankenship believes he saw during his own dives to the bottom of 10-X appeared to be an anomalously rough section of ground. 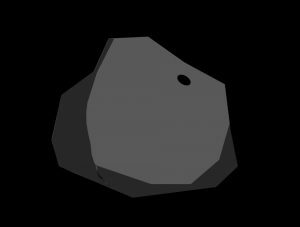 Next, we see a replay of sonar expert Brian Abbott’s affirmation that the rectangular object at the bottom of 10-X depicted by his sonar scan appears to be a manmade chest- a supposition apparently nullified by Chatterton’s findings. 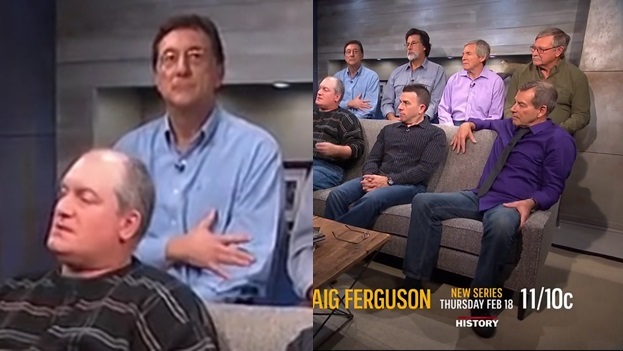 When the video has finished playing, we see that Brian Abbott has joined Rick and Marty Lagina, Craig Tester, Dave Blankenship, John Chatterton, and Howard Ehrenberg on stage. Upon being prompted, Abbott explains that the reason for his confidence in asserting that the square object at the bottom of 10-X is artificial is due its consistency with the chest-like object visible in “snapshots… of several [objects] that were down in the cavity.” Marty suggests these snapshots were Dan Blankenship’s old photos of the 10-X chamber. Abbott, however, is adamant that the photos he saw were much clearer than Blankenship’s photos, and that Montreal-based engineer and Oak Island historian Les MacPhie was the one who showed them to him. After grilling Abbott, Matty Blake brings up the two vertical posts in Borehole 10-X indicated by various sonar scans and underwater camera operations, yet conspicuously absent from Chatterton’s dive report. Chatterton explains that one of these posts appeared to be a stationary drill pipe- almost certainly a product of Triton Alliance’s erstwhile excavations in 10-X- and that the second was a “dynamic” floating PVC pipe. Dave Blankenship follows up on Chatterton’s assertion by stating that he has no idea where the PVC pipe might have come from. The talk soon turns to the “tunnels” in the 10-X chamber indicated by various sonar scans. After some heated discussion, Dave Blankenship states his desire to pump the water from 10-X and physically explore the tunnels and the rest of the cavern without any visual impediments, to which Rick voices his assent. Marty, however, opines that there is no need to drain 10-X, as John Chatterton explored the “tunnels” manually and concluded that they were far too short and narrow to permit the passage of men and materials. Rick counters Marty’s suggestion by reaffirming Chatterton’s earlier statement, apparently expressed off-camera, that he only manually explored about 10% of the wall surface of the 10-X cavity- too small a percentage, Rick maintains, for them to completely write off 10-X. Marty counters that by asking Chatterton to give him “the odds that [he] missed a human-sized tunnel.” “Pretty slim,” Chatterton answers. In the end, Marty concludes that, although the team will have to talk it over, there is likely “an ‘X’ in 10-X, for now.” Rick says that, if he had the option to disregard financial and logistical constraints, he would hope to pump 10-X dry as soon as possible. The next scene is a pre-recorded homage to the War Room, Oak Island Tours Inc.’s beloved on-site headquarters. Matty Blake reveals that the War Room was initially built as a small Oak Island museum by the Nova Scotian government in the 1970’s. The video goes on to pay tribute to the treasure hunters of the past who toiled to solve the Oak Island riddle. Next, Matty Blake asks Rick, Marty, Craig, and Dave about their favourite developments in Season 3. Rick, when asked about his favourite development, does not refer to a specific incident, but rather states that he is pleased the crew is still together and engaged in the search. Marty’s favourite part of the season was finally getting a diver to the bottom of Borehole 10-X, a major goal long held by the men of Oak Island Tours Inc.
Craig states that the relationship built between Fred Nolan and the men of Oak Island Tours Inc. is the highlight of the year for him, as it opens up a whole new realm of future possibilities. Dave states that no particular development in Season 3 stood above the rest, in his eyes. The team ends the segment by speculating as to the nature of the shiny, metallic object revealed to lie at the bottom of Drillhole C1, and by revealing some plans for the future. Les MacPhie’s Photo of 10-X. 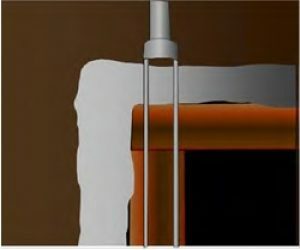 In this segment, sonar expert Brian Abbott discloses that the reason he so confidently asserted the artificiality of the rectangular object that his sonar scans depicted lying at the bottom of Borehole 10-X- which John Chatterton, during his dive, determined to be a rectangular stone- was due to a photograph he was shown during his time on Oak Island. This photo, allegedly a snapshot of the chamber at the bottom of Borehole 10-X, shows what appears to be a treasure chest, complete with a lock and a rounded lid. Upon hearing Abbott’s disclosure, Marty suggested that the photo Abbott saw was Dan Blankenship’s grainy snapshot of the 10-X chamber, taken from a screen monitor in the 1970’s. Abbott denied this, however, maintaining that the photo belonged to Les MacPhie, a Montreal-based engineer and Oak Island historian. It appears that the image Abbott was referring to (shown above) is an enhanced version of the Blankenship photo that Marty referred to. Les MacPhie included this photo in an Oak Island presentation entitled “Review of the Findings at Hole 10X Oak Island, Nova Scotia”, the digitized version of which you can find at OakIslandCompendium.com/Les-Macphie-Archives.html. Les MacPhie apparently discovered this photo in a letter from Dr. Mark S. Schmalz, a computer scientist of the University of Florida, to Triton Alliance, dated January 23, 1995. In this episode of Drilling Down, sonar scan expert Brian Abbott described the reasons behind some of the claims he made regarding the nature of the objects lying at the bottom of Borehole 10-X. While Abbott spoke, Marty Lagina, who sat behind him, made an inconspicuous but clearly deliberate hand gesture at the camera. Specifically, he placed his right hand on his left forearm, keeping his middle and ring fingers together but splaying his index and pinky fingers out to the sides. As if to draw attention to this gesture, he looked directly into the camera when presented with the opportunity. A photograph of Colonel Theodore Roosevelt (future President of the United States) sporting his “Rough Rider” 1st U.S. Volunteer Calvary uniform in 1899, following the Spanish-American War. An illustration from the 1886 book Bible Pictures and What They Teach Us depicting Aaron and Hur of Exodus holding up the arms of Moses during the Battle of Rephidim. An image depicting Christ and the words “Christ the King”, artist unknown. Descent from the Cross, painted by Venetian artist Niccolo Frangipane in 1593. A modern Greek Orthodox-style icon by artist Aidan Hart depicting Saint Joseph of Arimathea holding the Holy Grail at Glastonbury Tor, England. Baldwin I, King of Jerusalem, painted by French Neoclassical history painter Merry-Joseph Blondel. Jacques de Molay, Grand Master of the Templars, painted by Fleury Francois Richard in 1806. A 16th Century French portrait of Saint Ignatius of Loyola, co-founder of the Society of Jesus (Jesuit Order). Portrait of George Washington, by 18th/19th Century American painter Gilbert Stuart. Hello and welcome to an Interview with a Cryptid Hunter. In this documentary, we’re going to showcase a never-before-seen interview of an extraordinary man who explored one of the most inhospitable tracts of wilderness on the planet, risking his very life in an effort to uncover the shocking truth behind Nature’s most carefully guarded secrets. Without further ado, here is an Interview with a Cryptid Hunter. Enjoy! Throughout the course of his research, the author of this book came across a string of references to a mysterious adventurer named Frank Graves. This gentleman was a protégé of Ivan T. Sanderson, one of the founding fathers of an unorthodox discipline known as cryptozoology. More than fifty years ago, he made a historic expedition to a mysterious valley in Northern Canada famous for its gruesome myths and legends. He is credited with the discovery of two different cryptids, or hidden animals, yet unknown to the civilized world. And he has an intriguing connection to an elusive photograph for which cryptozoologists have hunted for decades. In a few short years, he made a huge splash in the cryptozoological community, earning himself a place in books and magazines. Then, as suddenly as he appeared, he vanished without a trace. Some men have searched for him in vain. Others dismissed him as a myth. For years, the fate of Frank Graves remained a mystery… until now. Frank Graves’ story begins in Philadelphia, Pennsylvania, in the early 1960’s. Back then, he worked as a heavy duty mechanic for a truck manufacturing company. In 1965, his comfortable eight-to-four routine changed forever with his introduction to a fascinating character named Ivan T. Sanderson. Ivan Sanderson was an eccentric Scottish biologist and adventurer. Educated in zoology, geology, and botany in England, France, and Switzerland, he began his academic career leading specimen-collecting expeditions all over the world on behalf of various British learned societies. In 1932, during one such expedition in the jungles of Cameroon, he and his hunting partner were attacked by a giant bat which the locals fearfully referred to as ‘Olitiau’. This incident sparked Sanderson’s lifelong interest in animals yet unknown to science- creatures begetting the field of study which he coined “cryptozoology”. During WWII, Sanderson worked as a counter-intelligence operative for both the British and American Navies. After the War, he left his old life behind and immigrated to America, where he enjoyed a long career in radio and television, educating and entertaining his audience in his capacity as a naturalist. Sanderson’s interest in unexplained phenomena was rekindled in the 1950’s, when UFO and monster sightings became more frequent in the United States and Canada. Unlike many of his academic contemporaries, Sanderson refused to dismiss these stories out of hand, risking his professional reputation in order to give them the attention which he believed they deserved. By the late 1950’s, he was writing essays on UFOs, and in 1961, he wrote the first book to seriously address the question of whether hairy wildmen truly roamed the wilderness of North America. In his book, Sanderson referenced a wildman tradition from a mysterious region in Northwestern Canada- the watershed of the South Nahanni River. This remote territory, nestled in the heart of the Mackenzie Mountains, was associated with strange tales of lost tribes, lost gold, and a tropical enclave in the subarctic wilderness. A string of mysterious decapitations which took place there in the early 1900’s resulted in the area acquiring a gruesome nickname: the Headless Valley. And I met him. I went down there. He greeted me. He had a Hawaiian shirt on, all bright colours, flowers all over it. Most of the time he walked around barefoot. Either sandals, or barefoot. And he had this thick grey hair combed straight back. And, you know, a really pronounced British accent. We just hit it off right off the bat. Right off the bat. And we had a really good time. And he invited me out to his house in Blairstown, New Jersey. You’ve probably seen pictures of that. It’s like a little white house. You had to go way out into the middle of nowhere to get to it. You’ve seen, I guess… there’s old newsreels where they show the old little house he lived in with his wife, Alma. Going up there was like stepping into another world. Ivan connected me with them, because he saw a chance for me to go someplace and really look into the Bigfoot question, see what I’m saying? See, I was a very introverted, little guy, you know what I mean? Like, I wasn’t into anything like that, and I had to make a jump from being just an average, everyday go-to-work-everyday to jumping off into something that was really, in many ways, extremely dangerous. It was extremely dangerous. 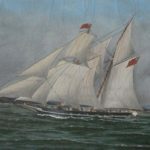 The group to which Ivan Sanderson introduced Frank Graves was a team of American university students who hoped to resurrect the dying art of old-fashioned discovery expeditions. These young men called themselves the “American Expeditionary Society”, or “AES”. In the summer of 1965, Frank Graves and the AES boys equipped themselves at Minnesota State University before heading north to Canada, bound for the Headless Valley. You know, once I got there, and got to talk to these people- it was George Boyum, Wayne Egrebretson, Michael Eliseuson, and we took somebody at the last minute, who was hanging around the school bus while we were painting it red, white, and blue: his name was Bruce Shorer. He lived, like, across the street, and he wanted to go on the trip. So, we said, “Well, if you want to go on the trip, what can you do?” And he said, “I can cook.” So, we just took him. So they were there for the University of Minnesota, and Wayne Egrebretson, collected birds. He shot a lot of birds and preserved them- stuffed them- to bring them back. Remember, Ivan connected me with these people. They weren’t going there to look for Bigfoot. I was going there to look for Bigfoot. We bought a 42-passenger school bus, and we took all the seats out of it. And we had a guy come over. We painted the bus red, white, and blue- red on the top, white on the sides, and blue on the bottom- and we had a guy come over, and he professionally wrote, ‘American Expeditionary Society’ on the side of it. We all left from Mankato. That’s right, we all put this together in Mankato, Minnesota. We had our headquarters in the second floor of the school building. You know, it was summertime, so somehow we got the second floor of the school building, and we put all of our equipment in there- all the food. Everything we had to do was all packed there, and outside was the school bus that we painted red, white, and blue. And then we got all of the equipment- the camping equipment, everything, the outboard motors, all of it, and packed it into the bus. And we left from Mankato. We went up through International Falls into Canada. We drove that right up into Canada. We drove across the provinces. You know, Saskatoon, Edmonton, all over the place. You know, red, white, and blue bus with ‘American Expeditionary Society’. We didn’t have any problems with it, but people would, you know, ask what we were doing and where we were going. And we had a very nice time. We stopped in Edmonton. And we would actually live in the bus. You know, we had all our camping equipment there, so we would sleep in the bus. It’s a miracle, really, that we actually got there. I mean, it’s a long trip, and that was an old bus that was put together. And George and I got it running, you know what I mean? We got it mechanically sound and tuned it up and everything. So, we drove across all the provinces and we went up through Peace River. And there’s an all-weather highway there. I understand now that that highway is probably paved. When we went there, it was a 300, 400-mile highway with nothing there. There was nothing but gravel. Just gravel. Driving the bus- it was like a boat in the water, you know what I mean? It just kind of swayed back and forth in the gravel. And all the way up to a place called Hay River. When we got to Hay River, we lived with Cree and Slavey Indians. It was just like the Old West- wood sidewalks, people fighting in the streets. I mean, it was really rough. I would have never stayed in Hay River, believe me. I would have rather gone into Vietnam than stayed in Hay River, to tell you the truth. Hay River was a tough place. Hay River was the end of the road. We had to leave our bus there. Big four-motor airplane. We packed all our equipment in it, and we flew to Fort Simpson. They let me sit- because I was photographer- the pilot and the co-pilot let me sit between them, in the little seat between the pilot and the co-pilot, while it was flying, and I shot a little film from there. And then, landing, you know? I looked down, and I said, “You’re going to land down there? There’s nothing but woods.” And then you see this little landing strip, you know? A dirt runway in the woods. And this plane went down, and they landed it. And we all got out, and we were in Fort Simpson. Two of the people on the trip- George Boyum and Wayne Egrebretson- they were farm people, and they were very tough, outdoor people. But Eliseuson- Mike Eliseuson- Bruce Shorer, and myself- we were kind of like city people. You know, we were all kind of new to things like that. 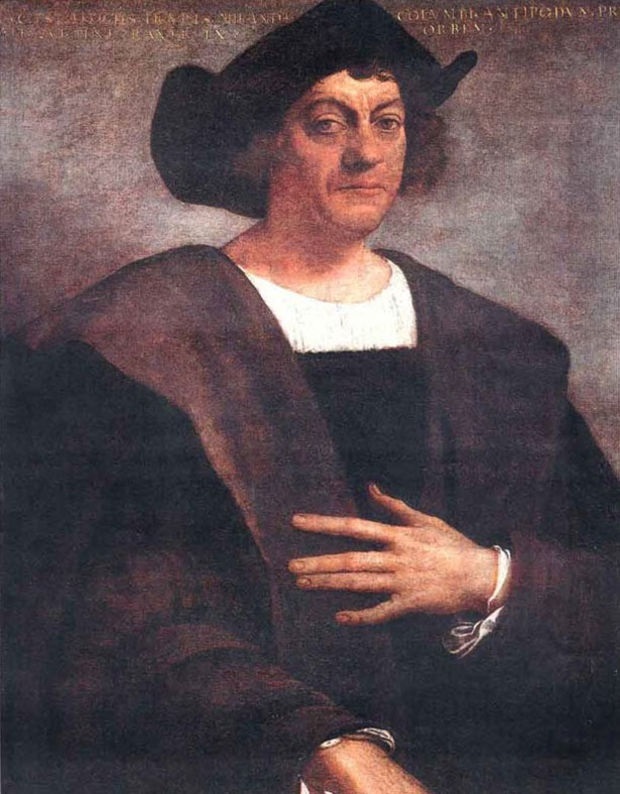 We had the Indians build us a 30-foot, very well-built, beautiful flat-bottom boat, but it was too small. So we had to make changes. So we swapped that boat, which was brand new, for an older boat that some Indians had. It was a 40-foot-long boat… not 40-foot, about 30-foot boat… flat bottom. There are different kinds of boats, but the kind of boat we went up there in is a flat-bottom scow with outboard motors on it. We had two 14 horsepower motors. Everybody up there had- in those days, 30 horsepower was, like, the minimum to attempt anything. And we had two 14 horsepower McCulloch engines. And it had a lot of freeboard in it, so we could load… Everything we took we packed in steamer trunks. We had five steamer trunks that packed into the boat and everything else was around us. That, and we all sat on top of the trunks. And we left from Fort Simpson. We went up the Liard River. The Liard River is a very placid, nice, wide river. We went up through there. Took days. And the next stop was Nahanni Butte. Nahanni Butte is a 6,000-foot mountain right at the confluence of the Liard and the South Nahanni River. That’s where we met the Turners. The Turners were very good people. They ran a thing called Nahanni Safaris Ltd. and they took hunters up to Virginia Falls. The Turners, they had a big house built there, like a log cabin house. Don Turner was the son. Don Turner was a young guy, about our age. There was a daughter. And he just said, “That’s the way things are up here, you know? Harden your heart to it.” So, I didn’t get along with him that well, but the son was good. Now, there’s another family there that we became very friendly with, and that was the Bruckers- John Brucker. John Brucker worked for Nahanni Safaris Ltd. He worked for the Turners. And Brucker was a very tough… I guess he was French-Canadian. He lived at Nahanni Butte. And Brucker was like a jack of all trades. He was a hunter, a mechanic, a very good man on the river with a boat. So, Brucker was a very good guy. A very loud, outspoken guy. He talked loud. He was a small man, but very tough, you know. Very broad-shouldered, but small. And very close… his head was always shaved. He used to say to me all the time, “Why don’t you talk very much?” Because everyone else would be talking and doing things, and I’d just be sitting there listening, you know? Every now and then he’d look at me and say, “Why don’t you talk? Why don’t you talk? What’s the matter with you?” I’d say, “I’m OK, I’m fine,” you know. I liked him, but he was kind of a brash person, you know what I mean? As I told you originally, I came from a little guy, you know, going to the store for his mother to taking off on a trip like this, you know what I mean? It was a gigantic change in my life, you know what I mean? So I did spend a lot of time sitting there quietly watching people. When we went there, it was like the Wild West. There was no police. The RCMP would come maybe once a month. They would fly in and ask everybody how things were going and fly away, and other than that, there was no law and order. I mean, it was really… you really were going back in time. People carry guns, you know. I carried a gun wherever I went. Now, remember, this is 1965. It’s probably a little different up there today with the advent of all the different types of communication. The only way we could talk to anybody up there, we had to go into the town and get to a phone there and call somebody, you know? There was no other way to do anything. 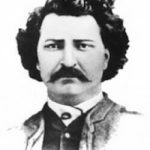 During his stay at Nahanni Butte, Graves decided to ask some of the locals about the hairy wildmen said to haunt the region. In doing so, he came across stories of an entirely different sort of creature known to the natives as the Nuk-luk. I became friendly with various people- the Indians there, the Slaveys and the Cree Indians. And once you get to where they trust you, and will talk to you, that’s when they talked to me about these things. When I got really friendly with the Indians at Nahanni Butte… there’s a place called the Twin Buttes that I couldn’t get to. It wasn’t that far away, but it was an arduous trek to get there. And they told me that there were people living there. And these were, like, sub-human people. They weren’t like Bigfoot. They were, like, little small people that wore clothes- not clothes, but, you know, clothes that they made from skins and things. And that they were very hairy, and that they lived at a place called the Twin Buttes. The woman and two of her children went outside to look for the little creature, but by that time it had retreated into the bush. “Now we go to my favourite tale. This was told to me by a boy of about 14, whom I knew only as Jerry. He was recommended to me, for my purpose, by the school teacher there. This little boy saw a creature, identical to the previous mentioned one, except for a few exterior differences. This sighting is said to have occurred last fall right outside of Fort Simpson. “One evening, at about 9:00 p.m., the little fellow’s dog began to bark. This event is not unusual for his home is located right on the edge of the city dump, and a dog can pick up the scent of many different night scavengers during the passing of one night, especially in that country. “On this night, however, the boy and his father went out to the dog to find out what was the matter. When they got out to the dog, it was quiet and standing most still. At first, they detected nothing of unusual interest, but when the father turned on a flashlight for a little extra investigative work, they heard a slight noise. As they turned the light in the direction of this sound, they were surprised to see a rather small, dark creature. “This creature is said to have remained where he stood for several minutes. 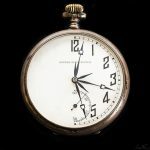 At about that time, the dog, again, began to bark. And we stayed there for a week or two, and then we went to the hot springs. The Kraus Hot Springs lie on the South Nahanni about sixty kilometres upriver from Nahanni Butte. Back in the early 1900’s, they helped inspire a legend of a tropical valley hidden away somewhere in the Canadian subarctic. In order to get there, the American Expeditionary Society had to pass through an obstacle known as the Splits- a deadly labyrinth of islands and log jams that had claimed the lives of many a canoeist. We had a camp at the hot springs. We actually had a big tent all set up, and that’s where we spent a lot of time- at the hot springs. A man named Gus Kraus and his wife, Mary, lived there. Gus Kraus, at the time, was about 77. I’m almost that old myself now. But he did things like he was in his twenties. He was a very tough outdoor guy, cut down big trees, dragged them all through the bush. Gus was the kind of guy, if he would light his pipe, he would reach into the fire and pick up hot coals in his fingers and light his pipe. He was a very nice guy- a very nice guy to talk to. His wife was an Indian woman named Mary- kind of a short woman, wore glasses. Actually, Mary had shot Gus when they all lived at Nahanni Butte, and before they moved up to the hot springs. It was in the wintertime, and I saw a movie of this. When we were at the hot springs they showed us an 8mm movie of something… swimming in the hot springs in the winter. Because no matter what happens, the hot springs are always there. They would go back to the hot springs and go in the water even though it was, like, 30 below. And at some point, there was a problem between Gus and Mary, and Mary shot Gus in the head with a rifle- a .22 rifle. And the bullet went behind, hit him right behind the ear, and it went around his head and came out the other side. Only a .22, you know, would be capable of doing that. And I never really found out what that was about. And nobody got in trouble for it. But it was a very well-known thing that happened there that people used to talk about, about how Mary shot Gus. And Gus would show me, say, “Look, see where the bullet hit me, right here?” And he’d say to her, “You’re a bad shot, Mary!” And she’d just laugh. I don’t know what that was about. Nobody ever really explained why she did that. But that happened before we got there. And they had a son named Mickey. Mickey was about, I guess, 11 or 12. We actually got playing with him. We used to play tag with him. We did this for days on end up there. We ran around playing tag for days on end. We had a lot of fun doing that. I mentioned something about wolves, and the Mackenzie timber wolves are the largest wolves in the world. They’re bigger than anything in Siberia. And Mackenzie timber wolves, when I first started to see their tracks, I could put my whole hand in the track, and the footprint was bigger than my whole hand with my fingers spread out. They had very odd feet. Their feet are very wide. And they’re very lanky. They have long, spindly legs, and they used to say up there- the Indians would say they weigh 180 pounds but they’re all skin and bones. Now just imagine, like, you know, a typical German shepherd, maybe 75, 100 pounds. These wolves typically weighed 180 or more, and they were very skinny and lanky, with very large heads. They were very odd-looking. Wolves were the hardest thing to see. You very seldom ever saw them. The only time you’d see a wolf is, you’d have to go out at night, and you’d have to sit someplace very quietly along the river. And then the wolves would come out, and come down to the river to drink. You would never see them ever, but they were all around you. And we were about two or three miles away from the hot springs. Well this one day, we were out walking, just a nice day, and something was running… They have these things called snyes. A snye is like a little inlet off the river that doesn’t move- just like a little body of water. And Mickey and I were walking along, and the snye was down below us, and something was running through the water. And Mickey said, “There’s something down there.” And the path came up in front of us, about 50, 60 yards. It came up from the left, up the hill, to the main path. And I just caught a glimpse of something gray coming up the hill. And it got up to the top and it was a wolf. And it looked right at us. And I never- see, I never shoot things. I’m a very prolific person as far as guns go, my hobby is guns, I target shoot and all that. But I don’t shoot animals. But Mickey was scared. And this wolf came up, and he was about, I guess, twenty yards away. And he looked at us. Now, animals up there, they shun people. They run from people. And this wolf looked at us, and he started to come directly toward us. And Mickey was scared, and he says, “Oh, the wolf is going to jump up on me.” And I had a shotgun. And I didn’t want to do it, but I fired a shot around it. And the foliage around it- you could see where the shot hit the foliage. And he didn’t react to it. And he came closer. And this time, I shot at him, and the foliage all around him was affected by the shot, but the wolf wasn’t affected by it. And it just turned- at that point, it just turned and quietly shot off the path into the undergrowth. And we didn’t see it again. We went to try and find it. There was no blood. Nothing. But I know I didn’t miss the wolf. There was no way. I didn’t want to shoot it at all, but he was afraid, and I might have been a little afraid myself. Graves’ story reminded Sanderson of another tale that a friend had told him years ago. While prospecting in Alaska in the 1950’s, this friend had come across huge, solitary, white wolves deep in the arctic wilderness. After hearing Graves’ story, Sanderson suspected that these colossal canines might constitute another species of animal entirely. His theory prompted him to write an article, which was published posthumously in the October 1974 issue of the magazine Pursuit. In this piece, Sanderson remarked that the enormous, wide-headed, dog-like creature that Graves encountered in the Nahanni Valley evoked a particular species of ancient canine believed to have gone extinct several million years ago. Perhaps, Sanderson surmised, descendants of this ancient animal still survived in remote corners of the arctic. Sanderson dubbed this hypothetical creature the “Waheela”, and thus a new variety of cryptid was born. Well, the other theory that Ivan talked to me about was, he said that he thought it was what they call a ‘ghost wolf’, meaning that it isn’t really there. I mean, there’s a lot of room for this. You know what: Ivan, he wrote a lot of books about the Bermuda Triangle and everything that pertains to that. You know, like time differentials, and the fourth dimension, and all. And he thought, because the… as I say, I did not want to shoot this wolf. I didn’t want to shoot anything. When it became apparent that he could have hurt us, I shot at it, and everything around it was affected by the shot, and it wasn’t. And that’s when it turned and ran off the path to the right, up into the bush. And this bush is very heavy. Plus the carpeting of that type of forest is moss about a foot thick. It’s a foot thick. It’s like walking on a sponge everywhere you go. Once you get off the game trails, you’re walking in like a sponge. So once any animal gets into that, you can’t hear them. Once it went off the path- see, I only heard it because it was in the water, and it came up the path, which was a dirt path, and when it got to the top is when I saw it. But once it decided to leave, it jumped off the path into the woods to the right, and then you couldn’t hear it anymore. So, anyway, Ivan’s personal opinion was, he thought it was what they call a ‘ghost wolf’. Ever since Sanderson’s article, there have been several ideas put forth as to the identity of this strange animal. Some have drawn parallels between it and another mysterious canine from the Great Plains. Others have attempted to connect it with a monster of Inuit myth. Frank Graves has his own thoughts regarding the nature of the Waheela, which he shared for the first time in this interview. Well, they’re called Mackenzie timber wolves. They are, I mean, that is an established variety of timber wolf. That’s exactly what I’m talking about. They’re very long-legged, with big feet, large heads, kind of skin and bones, but averaging 180, 200 pounds. And they stand higher than three feet at the shoulder. Much higher. So, it’s an established variety of wolf in that area. While we were at the hot springs, an interesting thing was, George and Bruce Shorer were trying to make wine, but they were using something other than whatever you use to make wine, where you have to brine it and let it sit, and all this. Anyway, it makes a smell. And you’re not supposed to do that in Canada. Up there, it was outlawed. And they were doing this, and it takes weeks for this to get to a point where you can drink it. Some kind of mash, you know? It was in buckets. Well, it wasn’t in the camp; it was maybe 100 yards away. Well, while we were there, the RCMP came. Two RCMP guys. They flew in an airplane, and they landed right by the camp. And we went down. They tied the thing off. They came up and they visited with us, and they were just visiting, you know? They talked to use and we made them steaks, and we had a good time, and nobody mentioned this, right. And time went on, and they stayed maybe two or three days. And they visited with Gus Kraus, and they brought news, you know, and talked about what was going on, and this, that, the other thing. They also made some interesting comments about airplanes. The said that they saw- this was the RCMP- they said that they saw jet fighter planes up there, and he said it wasn’t a Canadian plane. He said he thought it was Russian. So, but he said those things happen up there in the area. But you have to understand that the underlying reason for the whole trip was to investigate reports of Sasquatch, Omah. 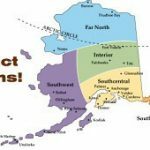 In that area, There’s what they call the… Sasquatches is kind of a name that’s bandied around up there, but up there, they refer to them as Omah, which is the same as Sasquatch. They’re all basically the same creature. The Omah is basically the same type of a creature as Sasquatch. And actually, there’s another variety. They’re called hillside gougers. Hillside gougers. And, to give you an idea of how people are up there: we hadn’t mentioned anything about Sasquatch or anything, and we were up there with the Turners, you know. Just having a visit with them. Sitting around, drinking Canadian beer, things like that, and having a nice talk. And George Boyum just said, you know, kind of casually, said, “How many Sasquatch have you seen?” And when he said that, everything changed. The people clammed right up. It leads you to believe that there’s a lot to it, you know what I mean? They don’t want these things exploited. Once that was said, then we kind of had to work our way back into why we were there, you know, to collect mosses and things like that. We had to get around that, you know. Once we brought that up, they became a little bit defensive about things. The people up there, except when you got to talk to, as I did- I talked to young Indian people, and they’re the ones who would open up. The older people would not talk to you. So, in my opinion of course, these things are there. They do exist. During his time at the Hot Springs, Graves made several excursions into the wilderness, accompanied at all times by an Indian guide. On one particular outing, he and his companion made a fascinating discovery, which Graves related in a letter to Ivan Sanderson. There’s a thing in Canada: if you have your picture taken riding on a moose, you get $10,000 from some organization. And we almost did it. When we left the hot springs, and we were about to enter the First Canyon, and a moose was swimming across the river. And we went over to it and- this is the honest-to-God truth now- I was going to jump off onto the moose and try and ride on it. And they were going to make a movie of it. I was afraid that if we jumped on it, it would drown. We changed our mind; we didn’t do it. 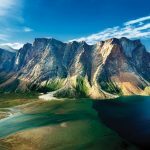 Beyond the Hot Springs, the South Nahanni runs through what is known as the First Canyon- a channel of white water flanked by two towering limestone cliffs. It is here that the American Expeditionary Society encountered the first of the Nahanni’s many rapids, for which the river is notorious. There’s two or three places on the South Nahanni- George’s Riffle and the Lafferty Riffle- that are very, very, very tough, and seasoned people get killed there. George’s Riffle is the hardest place to navigate on the river. You have the current coming down about eighteen miles an hour, but it runs into very narrow areas, and it’s all white water, and you have to navigate up through that. And a lot of people get hurt there and get killed there. Boats flip over. And we made it up there the first time, went right through all that riffle. And then we got into the real trip. We went up to the Headless Valley. And that was our main camp, in the Headless Valley. We stayed in the Headless Valley for over a month. There was a cabin built there by the government, and it was just put there for anybody who would visit there could stay in the cabin, they’d have some kind of shelter. And directly across from that was what they called the Prairie Creek Delta. And the way it looked, it was deceiving to look at it, it looked like it was very close, but it was very far away. And the trees that lined it- they’re sheer walls, and they lined it all the way up to the top and down. But the trees, it looked like grass. These trees were 100 feet tall. They looked like little pieces of confetti. The scale- once you explained it to people- “these trees are 100 feet tall”- then they realized how vast everything was and how large it was. The game up there is so plentiful I would liken it to Africa. I mean, every single day you saw moose. Every now and then you saw a grizzly bear. When you got up a little bit you’d see Dall sheep, caribou… I mean, this was all day, every day. See, the thing about Canada is that everything is bigger there. I’ve seen ravens here. The Indians, they like to catch these ravens and keep them for pets. And you know how they catch them? They take a fly line- a fly rod- and they put a little piece of jerky on it, and a little hook. And these ravens get on the top of their cabins and things, and they’ll throw the line up there, and the raven will pick up the end of the line to get the piece of jerky, and they’ll hook them, and they’ll catch the hook in their beak, and they’ll very easily reel them in. And they catch them, and they keep them as pets. But the ravens up there have like 4 or 5-foot wingspans. They’re very big. We used to see them walking around, and they’d be like, maybe 3 feet tall. I’m serious. And I’ve seen ravens in other places- upstate and all in there, the ravens are maybe 18 inches high. These were like 3 feet tall, and they were all over everywhere. But everything up there was big. Once you get in there, it’s actually primeval. I mean, you could, in my opinion, run into anything. I mean, you could run into literally anything. I remember George said one day- we were up on a little trip walking around- he said, “This is primeval.” He said, “We could run into anything here.” He was a college guy, you know, and he was a biology guy, and he knew a lot. And Wayne Egrebretson was a biology guy. They studied all this; they had a firm grasp of what they were looking at. I didn’t, but I remember George said to me one day, he said, “This is a primeval forest here.” He said, “Really, anything can be here,” meaning Sasquatch, or anything, you know. We could even find a dinosaur. But prior to that, they had found a herd of woodland bison that were seen from the air by either the RCMP or somebody. And there’s some kind of a film clip of that somewhere. And that’s how they were identified. And they were supposed to be extinct. Ivan talked about that a lot. But right in that area, where we were. And the one thing that nobody ever talks about are the insects up there- the bugs. They have whole seasons of bugs there that really, really, really tax everything. You run through… when you first get there, you have gnats. And people walk around with these screens over their heads. And you have to have them or your mouth will fill up with gnats. I mean, there’s zillions of gnats. And there’s a whole season for gnats. And this goes on for weeks. The air hums with gnats. And then they go away, and you get what they call “bulldogs”. These are these black flies. And these flies are so nasty. The will land on you and start biting you, and you know how you just shush a fly away? They don’t go away. They’re biting you, and you have to pull them off. And there’s a whole season of bulldogs. That lasts for a week or two. Then you get mosquitoes. This is all in the spring, early summer. You get the mosquitoes. Mosquitoes are big, and the air is alive with them. And you find yourself bathing in all this bug repellant. Of course, the Indians have their own stuff, and you put that on, and nothing bothers you. Because the stuff you take up there- you know, bug spray and all- doesn’t do anything. Albert Faille was the big name up there. He always wore this grey outfit with a grey hat. And he had a beard of a thin, old man. At the time he was probably eighty years old. Faille had, at some point, been up there by himself, and he was injured, and he broke his back. And he managed to survive a whole winter up there in the Headless Valley with a broken back. And he survived it and made his way back to the Hot Springs and Nahanni Butte, where he was nursed back to health. He became a folk hero up there. Everybody knew Albert Faille. Faille was… we spent a lot of time with him, and we would give him food. We cooked all the time, give him big steaks to eat, and catch fish for him. Albert Faille was one of these austere personages that you held in reverence. You didn’t just pop down next to him and say, “How’re you doing?” You approached him very carefully. “How are you, sir?” and that kind of stuff. “How do you feel today” and “What’s going on?” You kind of worked into it. If he liked you, then he would talk to you. He told us about a cave that ran from the hot springs to the Headless Valley. Fourteen miles. He said, “There’s a cave that runs from behind the hot springs, it runs through the mountains, and it comes out in the Headless Valley.” Oh, that was very interesting to us. But I’m not much for caves. I don’t like doing the caves, and I kind of turned that idea down. But it’s a fourteen-mile cave he talked about. That’s a long cave. Much of Nahanni Country, especially the area surrounding the Headless Valley, is pockmarked with deep caves that lead into the rock. Legend has it that these caverns are haunted by some sort of sinister presence, from evil spirits to Neanderthals to hairy, red-eyed giants. During his time in the Headless Valley, Frank Graves stumbled across one of these caves and made a shocking discovery inside. When we were in the Headless Valley, we would take walks. 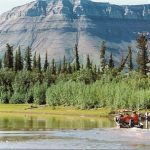 George and I, we would go across the river, across the Nahanni, and we put the boat up over there, and then we would go on a walk across the Prairie Creek Delta. This is like two or three miles until you get to the mountains. I would always carry a rifle. You can’t carry handguns up there. It would have been so much nicer if you could carry a handgun. But I always carried a rifle, and it made everything tougher. Because the rifle that I took with me was a rifle that my father gave me. It was a big, heavy gun, and I always carried it around with me. This one time, we got split up in the Prairie Creek Delta area. We just did things. You didn’t think about it; you just did them. And we would be going up in this area and there would be water coming down. We would just walk right through it, and if it turned out to be twelve feet deep, you just went right through it, you just kept going to get where you were going to go. And it was actually very dangerous because if it rained, this whole area would flood very quickly. I mean, it would flood in a matter of minutes. You’d have big trouble. We got a little split up, and I did some climbing. And I don’t mean walking up something. And I’m no climber or anything, but I actually climbed up a rock face. I’m talking maybe several thousand feet. Because once you start doing these things, you can’t stop. You have to keep going. You can’t come back. And I was climbing up, and I got fairly close to the top and I found a cave. I stopped for a while. I was getting a little nervous because I was wondering how I was going to get to the top. Because you’re climbing up these rock faces and I found this cave. When I say “cave”, it went in about ten feet. I don’t know whether it was a naturally-occurring fault in the rock, but it went in about ten feet. And I got in there, and I found a spear. Not knowing anything at the time, being a novice at all this, I picked it up and held it. It felt like it was made of stone, but you could see that it was a spear that somebody had hewn, and it was probably very, very, very old. And it had apparently turned to stone. I remember trying to figure out how I was going to get it down, because I had this rifle over my shoulder, and I had a pack on my back, too. And I had this spear. At the time, I really didn’t think about it being important, but I wanted to try and get it back. And you could actually see where somebody had sharpened this up, and it had a point on it. It was maybe an inch and a half in diameter, and it was about six feet long. But you could see that it wasn’t just a naturally-occurring thing. I had to tuck it behind me and put it in the rifle- you know, between the rifle and my back in the pack- and I actually climbed the rest of that with all that on my back. And I got almost to the very top, and I had to make a… it was just like in a movie. At this point, you’ve got to go to the top. I had to reach up about three feet to where I could see was the very top- the very last place I could grab a hold of. I spent a minute or two thinking about it, and I just lunged up, and I managed to grab a hold of it, just like in a movie. And I pulled myself up, and I got one leg up on the top, and I started to pull myself up, and the spear fell. I dropped it. And it went all the way down at least a thousand feet or more down into the rocks, into the water. I was very lucky. I could have died right then, because if I hadn’t made that last grip, I would have fallen. I wouldn’t even be here now. It would have been interesting to bring that back. A lot of people would have liked to look at that. It wasn’t wood. I mean, you can see where it had been wood. You could see where it had been hewn from something. Like a fairly straight limb from a tree or something. But it apparently was very old. And, I mean, it wasn’t sharpened with tools; it was just like somebody had hewn it on a rock or something and got it to where it was a fairly sharp point. I don’t mean sharp enough to stick it through something, but it was sharpened. I talked to Ivan about it later, and he said, “God, you bring it back,” and I said, “I tried to but it was as I was trying to get purchase on that last little ledge before I fell, I lost it. I don’t even know if we could have found it, you know what I mean? It was interesting. I think that would have been interesting to bring back. There’s three canyons on the river: the First Canyon, the Second, and the Third. After the Third Canyon, you get to Virginia Falls, which is the highest waterfall in North America. It’s about 400 feet, twice as high as Niagara. And that’s when it got really hairy, because the river gets really rough up there. We just took the boat up with nothing in it. We just packed ourselves in it, unpacked the boat at the Headless Valley, and we just took a boat trip up to Virginia Falls. And once we got up there, we stayed up there for about a week or so. We met four or five people that had come over the continental divide in canoes. They came across the Rocky Mountains in canoes. These were really tough people. They were young guys from some university. And they were really, really, really tough guys. They did the trip we did in canoes. We spent a couple weeks with them at the Headless Valley- first at the Falls, and then at the Headless Valley. And we had what’s called- it’s written on the walls up there- we had an eating contest in which we pitted ourselves against their group, and we had an eating contest. We made pancakes, we made beans, we made all kinds of stuff, and we carefully catalogued the whole contest. It lasted a few days. I was supposed to be the best eater there. I ate 34- I think 35- big pancakes, and one of their guys ate, like 50 pancakes. I mean, these were big pancakes. When I think back on it now, I don’t know how anyone survived that. We were all sick for about a week after that. We ate buckets of beans. And it was all written on the side- the doorway- of the cabin. When we did it, it was noted on the cabin. George shot a moose. A small moose, like a young moose. We ate very well there. I mean, we ate steaks all the time. We had moose meat every day. The Turners, when they came up there, Nahanni Safaris, they shot a Dall sheep, and they quartered it. When they stayed with us, we all had that meat for a while. And the fishing was… I’m not a fisherman- I don’t really care for it- but George was a fisherman, and he would go out in the morning and catch twenty or thirty trout in, like, five minutes. And when you looked into the water, the water was this green, beautiful, emerald colour, and you could see the fish in it. I mean, you could see thousands of fish. I’m talking thousands of trout that are a foot long, or bigger. And George caught one of those lake trout. He caught a trout that weighed about 35 pounds. And we used to make all these really nice dinners. Use trout, and then, of course, we made biscuits. We had enough to make biscuits for an army up there. So we had biscuits and trout. Of course, we took tons of rice. And we would make stew from trout and rice, and we had biscuits with it. And if you wanted a steak, you just went out and cut off a big piece of steak and cooked it. We actually made what’s called dried meat. The Indians showed us how to do that. You have to hang it up and smoke it. You have to make all these little strips. It’s like jerky. I mean, it’s the same thing. We made our own jerky. And then the jerky, of course- once you put that into water, it turns right back into meat. It dries up like leather, and you keep that in your pocket all day. When you get hungry, you just take a piece of that and chew it up. But if you want to cook something, you just boil water and drop the jerky back into it and you have meat. There was comments made about the moose, you know, and somebody said, “This moose tastes wild.” One of the guys said, “This has a wild taste.” And George says, “It doesn’t have a wild taste. It tastes like moose. You know? Moose is moose. Mutton is mutton. Venison is venison. It doesn’t taste like steak.” You know what I mean? Each one of those meats is an entirely different animal. We ate very well up there. We had a little bit of a time problem, because the trip was kind of put together quickly at the last minute, and we all ended up there. We only had so much time to do what we were going to do because we weren’t prepared to stay for the winter. Everything changes when it gets cold. The only reason we left was because, one morning, all the mountains around us looked normal, and the next moment they were all white, and they said that’s when we had to leave. When we came back, we got down to Fort Simpson and we had to get back to the school bus at Hay River. So what we did was, they have tugs that run up and down the Mackenzie River, and we got on a tug called the YT Husky. They push flat-bottom barges up and down the river. We were sitting on the dock with no place to go, nothing to do, with all this equipment, and a barge pulled in with a tugboat. We went up and talked to the captain and he said, “Just stow your stuff on one of the barges and come up on the tug and live with us. It took three or four days to go down to Hay River. They took us down there, and we had a really nice time on the tugboat. We lived on the tugboat. We helped them a little bit. And the tugboat brought us down to Hay River. About a year after his adventure in the Nahanni Valley, Frank Graves developed an interest in a new sort of unexplained phenomenon: Thunderbird sightings. The Thunderbird is a winged monstrosity of First Nations and Native American mythology. From the Pacific Northwest to the Maritimes, this avian colossus features in native folklore all across North America. Legend has it that the Thunderbird was endowed with the ability to create storms. Lightning shot from its eyes when it blinked, and thunder boomed when it flapped its wings. Native artwork often depicts these creatures carrying off enormous prey such as whales and bison. Every once in a while, Canadians and Americans report seeing giant birds eerily evocative of this monster of native lore. In 1966, Frank Graves and a young man named Jay Blick decided to investigate one such report in Northern Pennsylvania on behalf of Ivan Sanderson. I like all kinds of things like that. They’re very intriguing to me. And Ivan had been… he wrote an article about it, about Thunderbirds. And apparently at some point, an airplane or something had been knocked down somewhere, and they found tissue on the aircraft that was from a bird. But because the way that the tissue was, the amount of it, it had to be a very, very large bird. And this plane had apparently hit a bird in the air and crashed, and it got him off on this Thunderbird thing. So immediately said, “Fine,” and I went with a guy- I think his name was… was it Jay Blick, or something? Like, a heavy-set guy. And he had one of Ivan Sanderson’s old Plymouth station wagons. He had two Plymouth station wagons. One he travelled all over the country in. Well, this Jay Blick, he met me up there, and I had a ’58 Plymouth at the time. Beautiful car that I got from my grandfather, it was like brand new. And I met him up there, and we went to the town of Renovo. We went to a man named Bill Hess. Bill Hess was the historian for the town. He’s the one that came up with all this information about the Thunderbird, and he talked about… he gave us names of people. He was an old man. He lived in a house outside of town. Well, we went up and talked to him. He had actually seen a Thunderbird, and at the time he might have been 80 years old, and he lived out in the woods. We investigated that, and then we spent three or four days up there. We went up into the mountains, and we found a couple perches where we could sit and look over everything. There’s a place called the overlook up there where you can see for like twenty miles. We went up and sat up there and that was our investigation. We talked to people that had seen them, said they’d seen them. We talked to Mr. Hess, who was the historian of the town. And this was all documented. I did writing on it, and so did Blick. We got along fairly well on the trip. We actually camped out. We didn’t stay in a motel. We went up in the woods, and we set up a camp. You know, made a campfire. We stayed there a couple of days, but we were mainly looking for these birds. We would go up at night and look. Because they were supposed to only be seen at nighttime. They were very rarely… nobody ever saw them in the day. And we went to a place where you could overlook the whole area, and we sat up there and watched and watched and watched. And he started, “Oh, Thunderbirds. Alright”. You know, he kind of laughed the whole thing off. Something happened to Blick on the trip. I can’t remember what happened to him, but he all of a sudden didn’t want to say there. He wanted to come back. We were there for maybe three, four days. And then we came back, and I gave my material to Ivan Sanderson. Told him what happened, and this, that, the other thing. That… that’s kind of an up-in-the-air thing to me. I’m not sure about any of that, but the people I talked to seemed very genuine. Very genuine. I don’t know why they’d come up with a story, you know what I mean? They’re out in the middle of nowhere. They didn’t profit by it in any way. According to legend, an American sharpshooter killed a Thunderbird in the deserts of Arizona sometime in the late 1800’s. He and some of his friends later posed for a photograph with the bird’s carcass, which they had nailed to a barn wall. Thousands of people have sworn they have seen this photo in some old book, magazine, or newspaper. Yet despite a thorough and concerted search for it, no one has been able to find it again. Some cite this bizarre case as an example of the so-called Mandela Effect- a phenomenon characterized by a collective false memory. Others propound more exotic theories involving alternate realities and extra dimensions in an effort to make sense of this strange state of affairs. Whatever the case, the missing Thunderbird photo remains one of most perplexing cryptozoological mysteries to date. One man who claimed to have once owned a copy of this photo was Ivan T. Sanderson. In an article for the magazine Pursuit, he stated that he had given this copy to Frank Graves and Jay Blick prior to their Thunderbird expedition in upstate Pennsylvania. The photo never returned to his archive, and its fate remains a mystery. Fortunately, Frank Graves saw this photo prior to its disappearance. I do remember a picture of- like, this would have been in the 1890s or something- a picture of a big, black bird on the side of a barn. And there were people standing across it. I do remember that now, but I don’t remember the circumstance. I do remember that. See, something spurred me to go there. You know what I mean? Like, I’m very into doing things like that, because it’s interesting to me, and I believe that these things, for the most art, are real. I don’t believe people make these things up. I’m trying to remember… I think it was that picture… I think Ivan Sanderson showed it to me, and I think that’s why- one of the reasons I went on the trip. I remember something. There was a bird, and its head… the thing about the head was you couldn’t see the head. The head was hung over, and all you could see were the wings. Black bird, and there were people standing in front of it, like across it, to show how long it was. It was like, maybe twenty feet, thirty feet across. But the thing about it was you couldn’t see the head. The head had been… was hanging over. You know what I mean? Like, nobody held up the head or propped it up. So, that’s what was wrong with the picture. You couldn’t… in other words, anybody could have faked feathers and things, or whatever, but the head would be hard to fake. And this, you couldn’t see the head, because the head was hanging down in the front, you know what I mean? I recall this. The bird- it was a black bird on the side of a barn. See, I didn’t think about it until you said “nailed to a barn”. And there were people standing in front of it, and all you could see were these wings. And the head was slumped over, so you couldn’t see if it had a beak, or what it was, you know what I mean? I do recall that. I don’t remember what happened to the picture. You’re saying that we took it to… we took it with us. If that’s what it said, then I guess that’s what happened. I don’t recall that. But I recall the picture. I just don’t remember the incidentals, you know? I’m sure that Mr. Hess is probably passed on by this time. He would know for sure. His name was Bill Hess, and he was the town historian for Renovo. He had all kinds of information there in his files, so it could be that we gave him the picture. I don’t know. I don’t recall. The thing about the picture- I do recall seeing a picture; Ivan showed it to me- and it was a black bird on the side of an old barn, and there were people standing in front of it with their arms outstretched. But you could not see the head of the bird. You really couldn’t tell what kind of a bird it was, you know what I mean? It was a black bird like a raven or something. The Thunderbird is really supposed to be a raven. A giant raven. That’s really what Thunderbirds are supposed to be. Some of the current thinking is that they are a type of an eagle that’s not seen very readily. There’s the ocean eagles, there’s a lot of eagles that are very large. The biggest eagles, I think, have a 9 or 10-foot wingspan. But I think, from my knowledge of this, I think Thunderbirds are ravens. They’re just giant ravens. Giant Swan of New Jersey – A New Cryptid? Hey, I’ll tell you something very quickly, just for the hell of it. I drive a truck, and I was over in New Jersey five or six years ago, over on 295, and I was coming up in this little area and I saw what looked like a papier-mache swan. I thought it was a papier-mache swan that was like on a float, like in a parade, and maybe had fallen off a truck and was on the side of the road. And I was coming up on it, and I thought, Boy, look how big that is! This is me telling you this. It was a beautiful white swan, but I thought it was papier-mache. That’s how big it was. It might have been five feet long. And the bird was down, like, sitting down on the ground. But it was a swan. Long neck up, and it was just sitting there. And I thought it must have fallen off a flatbed, and somehow it didn’t get broken up. And as I came up on it, it got up! It raised up onto its feet. And I thought, God, it’s alive! And I was coming up on it, and I was in the left lane- it’s a three-lane road there- and I moved over as far as I could to the right. And it got up, and it started to look like it was going to try to walk. And it was on the shoulder by the guardrail. It was on the left side. And that impressed me so much, I went up- I was afraid it was going to get hit- and I went up to the next exit, I got off with a tractor-trailer, and came all the way back down just to see what happened to it. I thought, It’s going to get hit. You know? It’s going to wander out onto the road and get hit. Because I’ve seen geese wander across the highway and get hit. But this was… when I say big, it was huge. And it was a swan. It was absolutely unreal how big it was. And when I came back, it was gone. So, it must have flown away. And that bird, as I’m telling you right now, it was at least five feet long, and sitting there, it was about three and a half, four feet high, and the neck- of course, it had the swan’s neck, which went up like a swan would do, and that was maybe another three feet up. And I really thought it was a papier-mache impression of a swan, you know, from a float. And when I got up to it, it got up and started to walk, and it was absolutely huge. And I told you, I went up to the next exit, turned- because I thought it was going to get hit. I should have stopped right then, but I couldn’t stop. And I went up to the next exit, which is about two, three miles, I came all the way back down, turned around and came all the way back up and it was gone. I expected to see feathers all over the road, blood, you know, and carnage, but it was gone. So apparently, it was able to fly away. 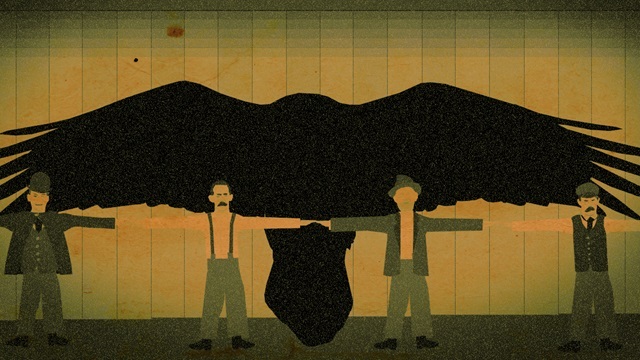 I just mentioned that for the hell of it, because we’re talking about large birds. See, once Ivan passed away, everything kind of fell apart. A lot of connections were broken at that point. When Ivan was alive, I was connected to a lot of people. Once he passed away, everything kind of just went quiet. I kind of miss some of it. I miss Ivan Sanderson. He was a one-of-a-kind guy, and Ivan and I had a pretty good relationship. I miss him. Thank you for watching Interview with a Cryptid Hunter. If you enjoyed this documentary and would like to learn more about Frank Graves and the American Expeditionary Society, please check out the book Legends of the Nahanni Valley, available on Amazon and Kindle. Special thank you to Frank Graves for agreeing to participate in this interview, and for contributing ‘lost’ footage from the 1965 AES Nahanni expedition. There’s something special about childhood memories. Whether you like it or not, some of them are seared into your grey matter as indelibly as a rancher’s brand into a spring calf’s hide. You may struggle to recall them at will, but every once in a while, certain experiences will drag you up to your mental attic, crack open some dusty old album, brush the cobwebs away, and present you with some stunningly vivid childhood memory which your conscious mind had long forgotten. The smell of a particular tobacco smoke, for example, may transport you back to your grandfather’s porch. A particular phrase might evoke that scary old Ukrainian widow who lived down the street from your parents’ house, whom you and all the neighbourhood kids were convinced was a witch. And the sensation of frostnip on your ears might elicit those 10-mile winter hikes you made every morning to school… uphill through the snow both ways. More often than not, these childhood memories seem to be of very specific scenes, events, pieces of trivia, or fragments of conversation which would probably fail to penetrate even the surface of your awareness as an adult, yet somehow managed to sink themselves deep into your childhood brain. One such memory came back to me several months ago, when my friend Sandy Marentette introduced me to the legend of the vampire of Wilno, Ontario. “Vampires in Ontario?” I mused. “That rings a bell.” Immediately, my mind conjured up images of my elementary school library. I could see the green steel bookshelves, the sunken reading space, and the laminate folding tables at the back of the room, laden with clunky computer monitors. Beside the librarian’s desk was a revolving wire book rack, and on that rack, on prominent display, sat a children’s novel entitled Vampires of Ottawa. Its cover art had evidently made a lasting impression on me, for even in my mind’s eye, I could clearly see a black-cloaked, grey-faced, Dracula-like figure chasing a kid through a dusky cemetery- an image which, I recalled, had chilled my 6-year-old soul to the core. After that unexpected trip down memory lane, nostalgia got the better of me; I actually ended up tracking down the book and reading it cover to cover. 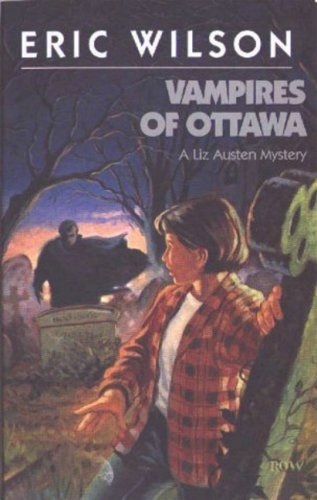 Vampires of Ottawa, as it turns out, is a children’s novel by Canadian author Eric Wilson, constituting one of a series of books chronicling the very Canadian adventures of a juvenile sleuth named Liz Austen of Winnipeg, Manitoba, a la the Hardy Boys and Nancy Drew. In this particular story, Liz travels to our nation’s capital to deliver a speech on vampires for a public speaking contest. A string of mysterious events steer her towards the country manor of a wealthy Romanian-Canadian industrialist who happens to be crippled by the fear that a vampire is lurking somewhere on his estate. The book Vampires of Ottawa begins in the Ottawa Jail Hostel, a spooky hotel with a dark history, which I covered in my article on haunted hotels in Ontario. Although the novel fails to mention it, the Hostel has a bizarre vampire legend of its own. This observation got me wondering, “How many vampire stories does Ontario have?” As it turns out, more than you might expect. Right now, it’s Halloween season. There’s a bite in the air, the sidewalks are covered with leaves, and in three weeks, neighbourhoods all over the country will be crawling with little ghouls and goblins on the prowl for candy. 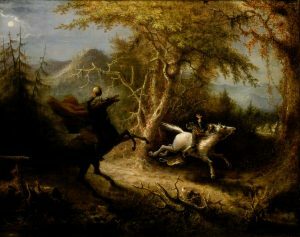 If Sleepy Hollow has any equivalent in Canada, it is arguably the quiet backcountry east of Algonquin Provincial Park. Instead of comprising the hill country of the Hudson River, this enchanted region constitutes the watershed of the Madawaska River, and rather than accommodating the descendants of Dutch settlers, this area is populated by the progeny of Irish, Scottish, German, and especially Polish immigrants. This region is steeped in folklore and superstition, and, like Sleepy Hollow, some of its inhabitants are prone to exotic beliefs. Last June, for instance, I wrote an article on the strange death of an eighteen-year-old girl from Palmer Rapids, Ontario, who drowned herself in the Madawaska in the summer of 1948, prompted by the teachings of a strange sectarian cult that her father had invented. In the heart of the Madawaska Valley, just half-an-hour’s drive north of Palmer Rapids, lies the tiny community of Wilno, Ontario- the oldest Polish settlement in Canada. Most of Wilno’s residents are of Kashubian extraction, Kashubs being members of a northern Polish ethnocultural group descended from Pomeranian Slavs. Although many of Ontario’s Kashubs historically identify as Polish, the dialect they speak and the culture they embrace bear traces of their unique Pomeranian heritage. Back in 1858, when much of Poland was under Prussian rule, the poor, hardworking ancestors of Wilno’s present inhabitants abandoned their Prussian homes and headed for Canada, comprising one of the first waves of what is known today as the Kashubian Diaspora. 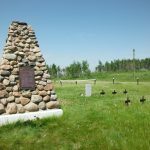 Somehow, these emigrants had learned that the British were offering free land to settlers along the Opeongo Line– a colonization road which stretched from the Ottawa River to the Madawaska Highlands. The Kashubs travelled by horse and buggy to the city of Gdansk, made the long train ride to Hamburg (at that time, one of the thirty nine states of the German Confederation), and took steamships across the Atlantic to the Port of Quebec. From there, they travelled up the St. Lawrence and further up the Ottawa River to the trailhead of the Opeongo Line. That accomplished, they trekked up the rough colonization road into Madawaska Country, where they carved out settlements from the wilderness. The first permanent community that these Polish-Canadians established was the village of Wilno, Ontario. 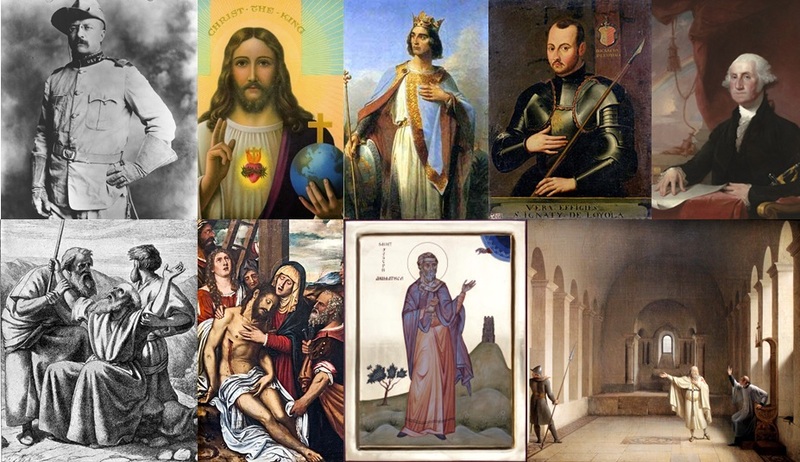 The Kashub immigrants who settled in Ontario, like Poles the world over, were staunch Roman Catholics. 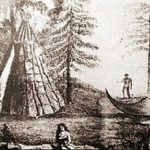 In addition to their Catholic faith, however, the first Ontario Kashubs imported an older folk religion into the Madawaska Valley. A complement to their Catholicism, this shadowy tapestry of folklore and superstition was a product of Eastern Europe- a relic of their Slavic ancestors. This old religion constituted a belief in hexes, black magic, and various supernatural entities, and prescribed methods by which people could protect themselves from these malevolent forces and remedy their noxious effects. Ethnologists and anthropologists refer to this particular type of belief system as “daemonology”. In the 1960s, a young, Harvard-educated linguist named Jan Louis Perkowski heard rumours that this belief system was still alive and well in the Canadian Kashub community, and that one element of this Canadian-Kashubian daemonology was a belief in vampires. In 1968, he received funding from the National Museum of Man in Gatineau, Quebec (now the Canadian Museum of History) to investigate this rumour. Perkowski subsequently travelled to Wilno, Ontario, where he interviewed fifteen Polish-Canadians and documented their folklore and traditions. He completed his study in 1969, and three years later, he published his findings in a controversial paper entitled “Vampires, Dwarves, and Witches among the Ontario Kashubs”. left to its own devices, the vampire will emerge from its coffin at midnight, visit the homes of its relatives, and either kill them by sucking out their blood or carry them away, never to be seen again. Once the blood-sucking revenant has dealt with its family members, it will make its way to a local chapel and ring the church bell. Anyone who hears the bell ring will die within the year. According to Perkowski’s interviewees, there are two signs which indicate a person’s predisposition towards vampirism, both of which occur at birth. Babies who are born with a caul- a “cap” of placental membrane on their heads- are believed to transform into vampires called “vjesci” after death. Babies who are born with two teeth, on the other hand, are said to turn into “wupji”. There is no difference between a vjesci and a wupji aside from the natal omens which betray their sinister natures. There is only one method by which people destined to become vjesci can be prevented from completing their macabre metamorphoses. The placental cap that they wore as babies must be dried and ground into powder. On the future vjesci’s seventh birthday, the powder must be slipped into his/her food or drink and consumed. Although vjesci can be cured of their affliction in this manner, people born with two teeth will invariably become vampires once they die. Fortunately, there are several techniques which effectively prevent wupji and uncured vjesci from rising from their graves and carrying out their grisly work. Pouring sand into the corpse’s coffin will prevent the vampire from resurrecting for as many years as there are grains of sand; the vampire cannot rise until it has counted every grain, and the speed at which it counts rarely exceeds one grain per year. Similarly, placing a fishing net inside the coffin will prevent the vampire from rising for as many years as there are knots, as it must untie every knot before leaving its tomb, and cannot untie more than one knot annually. 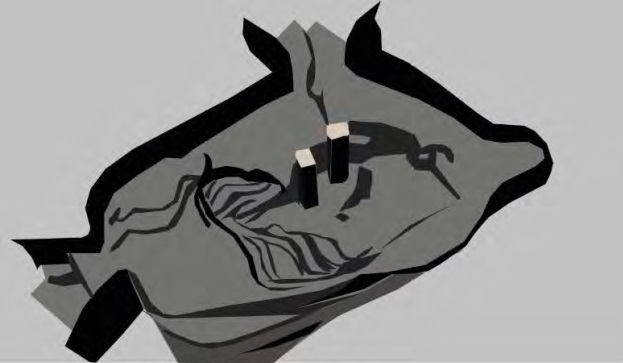 Another tactic involves placing the corpse face-down in its casket so that it claws its way deeper into the earth rather than up and out of the grave. A more permanent solution is to place a small cross made from poplar wood inside the coffin, sometimes under the corpse’s tongue. Poplar crosses appear to be Canadian substitutes for rosary crucifixes, which European Kashubs place under the tongues of their own suspected vampires. 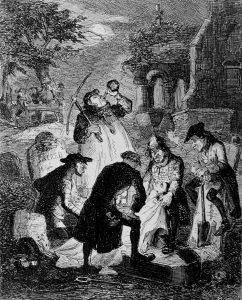 If none of these precautions are taken before the vampire is buried, there is but one recourse: someone must exhume the vampire at midnight and either drive a long nail into its forehead or decapitate the corpse with a shovel and place its head between its feet. People who attempt this gruesome procedure will often open the coffin to find the vampire sitting upright with its eyes open, looking around wildly and stammering unintelligible words. To this day, the extent to which the Kashubs of Ontario embrace the vampiric folklore of their ancestors is a subject of debate, although most Kashub-Canadians vehemently deny that they still adhere to this medieval remnant of the Fatherland. What’s less ambiguous is that fact that there are some Ontarians do believe in vampires… some say, with good reason. Skirting the western shores of the Niagara River is a road called the Niagara Parkway. The scenery along this riverside thoroughfare is so picturesque that former U.K. Prime Minister Winston Churchill is said to have described it as “the prettiest Sunday afternoon drive in the world”. The Niagara Parkway is one of the oldest roads in Ontario. Centuries ago, it was a game trail used by members of the Neutral Confederacy, an agglomerate of First Nations which was wiped out by the warlike Iroquois in the 17th Century. In the late 1700s, the British Army turned this game trail into a public road connecting Fort Erie (a British military outpost on the shores of Lake Erie) with Fort George, the future headquarters of the British Army in Upper Canada, situated near the shores of Lake Ontario. Due to its strategic importance, the highway became one of the primary frontiers during the War of 1812, a conflict fought between British Canada and the United States. If you drive up the Niagara Parkway twenty minutes north from Fort Erie Beach, on the northeastern shores of Lake Erie, you’ll come to a little café called the Lighthouse Restaurant on-the-Parkway. Immediately preceding this establishment is a bridge that crosses Black Creek, a tributary of the Niagara. According to local legend, this bridge is haunted by a ghostly woman in white who appears to travellers at night, usually between midnight and 3:00 A.M. 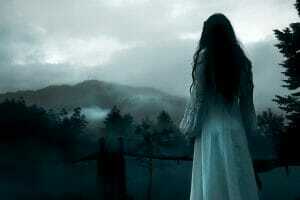 This apparition is said to be clothed in a ragged white gown; to have long, flowing black hair; to have a deathly pale complexion; and to act as though she is looking for something along the creek bank. Such a sight would be alarming enough for the unsuspecting nighttime traveler. What makes this spectre truly terrifying, however, is the bright red blood that drips from her mouth to spatter the front of her gown. Doubtless inspired by the seductive female minions of Bram Stoker’s Count Dracula, locals have nicknamed this figure the “Vampire Bride”. In his 2012 book Niagara’s Most Haunted: Legends and Myths, writer, radioman, and actor Dr. Peter Sacco includes an interesting theory regarding the nature of the Vampire Bride. 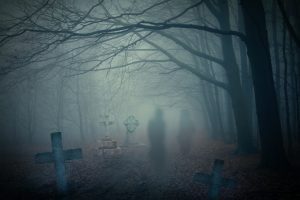 This theory, which derives from a local ghost story, proposes that the “vampiress” is actually the ghost of a young mother whose husband served in the Canadian militia during the War of 1812. According to this story, while the woman’s husband was away at war, an epidemic of tuberculosis swept through the Niagara Region. Tragically, the disease took the life of the woman’s newborn baby. In order to prevent further contagion, a well-meaning doctor plucked the baby’s tiny body from the arms of the grieving mother and promptly had it cremated. When she learned what had become of her child’s corpse, the mother fell into a deep depression. Utterly distraught, and with no one to comfort her, her health began to deteriorate, and soon she contracted the same illness that had taken her baby’s life. For several long months, tuberculosis wracked her body. She developed a chronic fever, turned ghostly pale, and began to cough up blood. “Consumption”, as contemporary doctors termed the disease, ate away at her body, transforming her into a gaunt, hollow-eyed shadow of her former self. By the time her husband finally returned home on leave, the young woman was on her deathbed. When the poor woman finally passed away, her husband wrapped her body in a white sheet and brought her on horseback to the bridge over Black Creek, one of the most beautiful spots on the riverside highway. There, not far from the Niagara River, he buried his wife. According to this version of the legend, the ghost of the young mother appears from time to time in the vicinity of her final resting place, searching for the child that she lost. Her pale skin and the blood that stains her mouth and chest are not indications of vampirism, but rather the symptoms of the infectious disease that took her life and that of her child. The last Ontario vampire we will cover in this article has its roots in the Ottawa Jail Hostel, a prison-turned-hotel where guests can stay overnight in cells once occupied by some of Ottawa’s most dangerous criminals. One of the most storied sections of this historic building is the “Secret Staircase”, which connected the prison with the residence of the jail’s governor. It is said that a number of prisoners leapt to their deaths in this stairwell. According to one legend, a group of disgruntled prisoners threw their guard over the railings of this spiral staircase in 1910, sending him plummeting to the floor far below. This mysterious inscription is associated with a strange prison tale. In his 1998 book Haunted Ontario, author Terry Boyle quotes a tour guide named Carol Devine, who introduced him to this bizarre fragment of prison lore: the legend of the Ottawa Jail Vampire. According to Devine, there are two stories associated with the vampire ghost of the Secret Staircase. The first of these revolves around the eight-year-old son of a prison warden who moved into the governor’s mansion with his family. When the family first arrived at the jail, the warden’s son was an “active, loving, happy child… until one day, things switched.” The boy developed a mysterious illness which grew worse over time. His personality also began to change, and by the time the family left the mansion, the now-eleven-year-old boy had developed a crippling fear of the dark. Some prisoners believed that the boy had been preyed upon by the “non-veridical Vampire”, which fed not on blood, but rather on the health and energy of its hosts. Thanks for reading! If you know of any vampire stories from your neck of the woods, please feel free to share them in the Comments below. 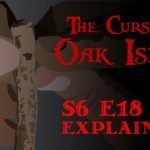 This episode of The Curse of Oak Island: Drilling Down serves as a recap and analysis of The Curse of Oak Island’s Season 3, Episode 12: Voices From Below. Host Matty Blake sits down on stage with Rick and Marty Lagina, Craig Tester, and Dan Blankenship. After playing footage of John Chatterton’s dive in Borehole 10-X, he asks the four men a number of related questions. The treasure hunters express their confidence in John Chatterton’s diving abilities, their regret in 10-X’s murkiness, and their cognisance of the fact that few things every go right the first time on Oak Island. 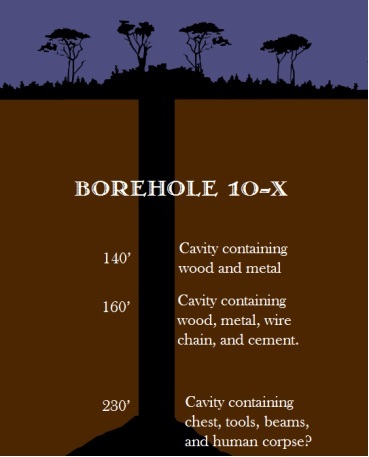 Later, we see a pre-recorded video of the drilling of C1, the hole prescribed by Oak Island historian Charles Barkhouse, in which a 21-foot-tall cavity was encountered at the 171-foot level. Once the video is finished, Rick states that he believes Charles’ prescription was based on his extensive knowledge of the history of the Oak Island treasure hunt, the recent re-discovery of the Hedden shaft in Season 3, Episodes 3 and 4, and on intuition. The four treasure hunters agree that a more rigorous analysis of wood and metal discovered in C1 is needed before they can conclude with any certainty that the void is significant. Following the interview with Kevin Burns, a pre-recorded video explains how geologist and Oak Island treasure hunter Robert Dunfield- notorious for his destructive, heavy-duty operation in the Money Pit in the late 1960’s- constructed the 656-foot-long causeway from Oak Island to the mainland, without which the current treasure hunt would not be possible. Next, a video plays showing highlights of Rick Lagina’s meeting with 91-year-old Lynn Walsh, the granddaughter of former Oak Island treasure hunter Maynard Kaiser. Blake explains that Kaiser, who fell to his death in a pumping shaft in 1897, was the second man to die on Oak Island, and that his death might have given rise to the popular legend that seven men must die before the Oak Island treasure can be found. Rick briefly explains that he and the crew promised Walsh that they would look through archival records in order to try to determine where Kaiser’s body has been put to rest; the Oak Island Treasure Company, for whom Kaiser worked, did not record where Kaiser’s body was interred, or if they even recovered his body from the pit at all. The next scene begins with a pre-recorded video in which Rick Lagina interviews veteran treasure hunter Dan Blankenship on his Oak Island experience. Before the interview, it is revealed that Dan and his son Dave, following the death of Dan’s wife Jane in 2011, made a vow to “find out what’s at the bottom of 10-X”. Dan talks to Rick about his wife Jane, about how he first became involved in the Oak Island treasure hunt, and about the history of Borehole 10-X. Rick states his desire to help Dan solve the 10-X mystery, saying “your life’s work needs to have a period at the end of it.” Dan says “I agree. Let’s make it happen,” and shakes Rick’s hand. Back on stage, Dave Blankenship describes how his father, a veteran of World War II, was “shell shocked” in the line of duty and received no treatment for his condition. Following the war, Dan Blankenship self-medicated by “drinking and fighting” in bars. Dave, Marty, and Rick all agree that the two things that eased Dan out of his destructive lifestyle were old age and his wife Jane.